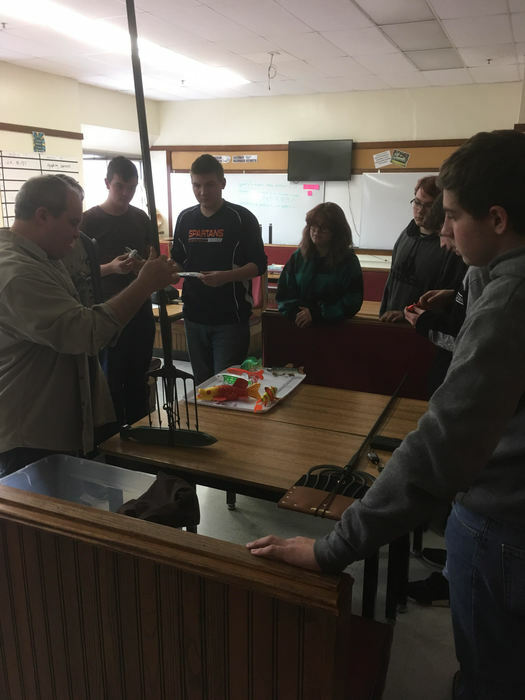 Mr. Adam’s angling class got a nice donation from Bio Baits! Thanks Erik at Bio Baits! Fish oil infused soft plastics! 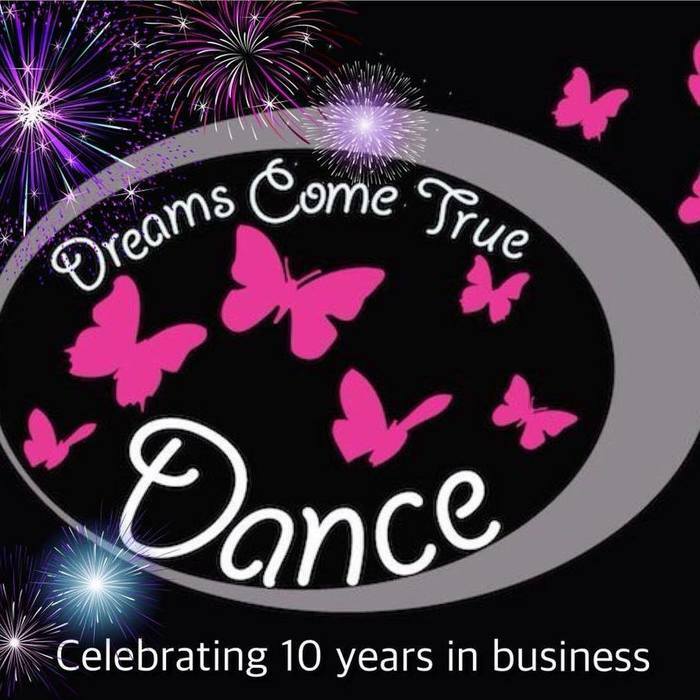 Jazz/Hip Hop Fusion & Acrobatic Dance with Kalya from Dreams Come True will be starting after school on April 17th (Wed’s through May 1st) Class open to boys and girls in grades K-6. Keewatin Elem. $36.00 register at: getlearning.org. Use code SPRING2019 and save 5%. Events at Keewatin Elem: Starting this Wed. April 17th-Dance classes for K-6th graders, Sew an Apron for 4th grade and up. 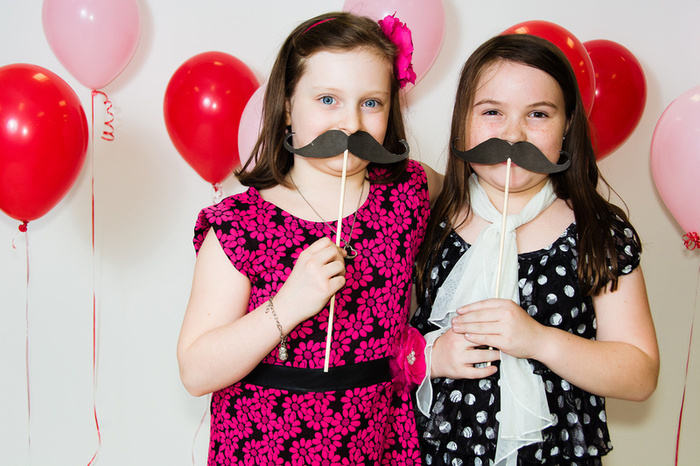 Our "Class Act" event has been rescheduled for May 7th. More info. will be sent home. Call 885-1280 ext. 51171 or go to getlearning.org to register. Prom tickets will continue to be on sale on Monday. 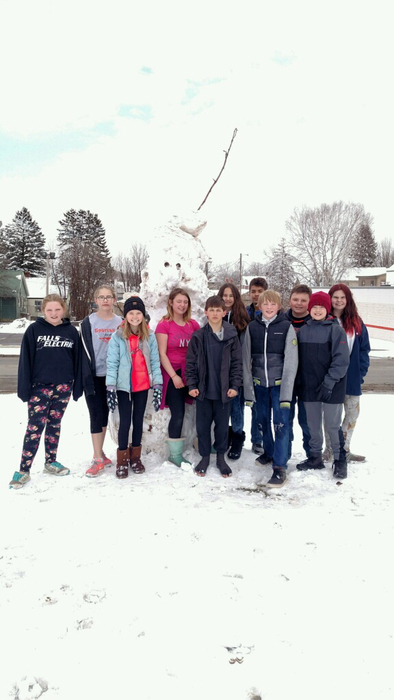 Nashwauk-Keewatin Schools are closed today, April 12! Stay safe, Spartans! 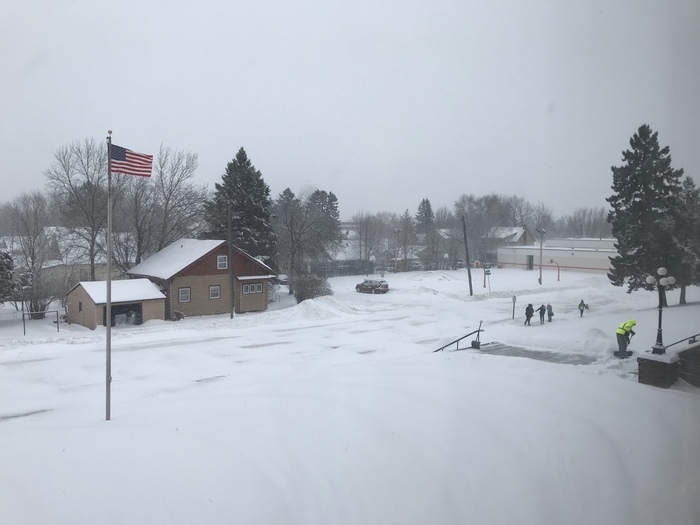 Due to worsening winter weather conditions, Nashwauk-Keewatin Public Schools will be CLOSED for today, Friday, April 12, 2019. 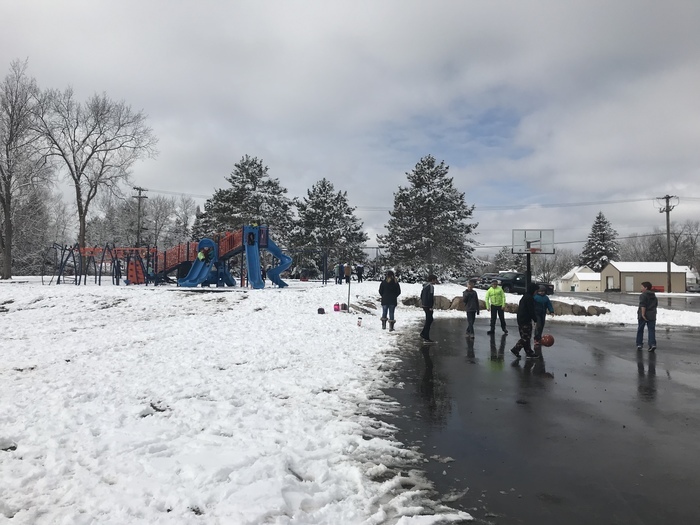 NK Schools will run 2 hours late on Friday, April 12, 2019. 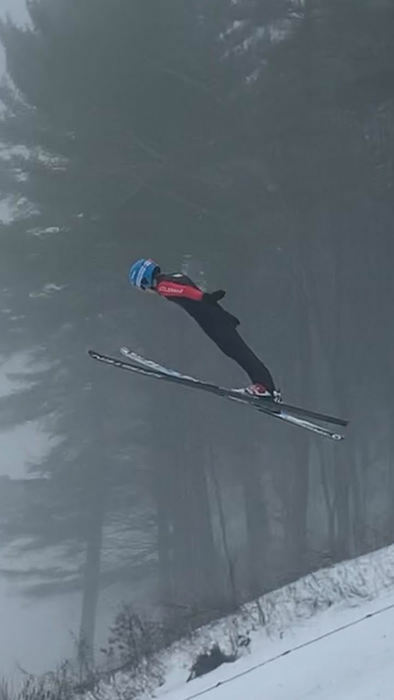 8th grader, Casey, competed in Jr. Olympics this winter in Utah! Champ is coming, are you?? 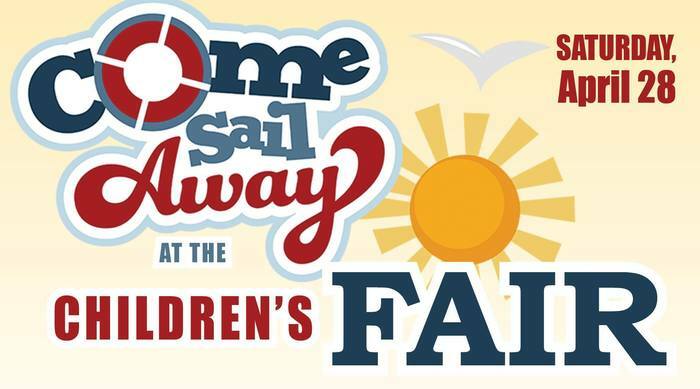 This Thursday, April 11 5-6:30pm at Keewatin we have our penultimate Children First FREE event. Hands-on science and art stations in the gym. Free taco-in-bag supper. Drawings for a free kindle, free signed Pittsburg Penguin gear, free car washes, and free Spartan gear. Please come! April 15-18 MCA Reading Test Grades: 7, 8, 10 April 23-26 MCA Math Test Grades: 7, 8, 11 April 29-May 2 MCA Science Test Grades: 8,10 Do your best and show what you know! Go Spartans! 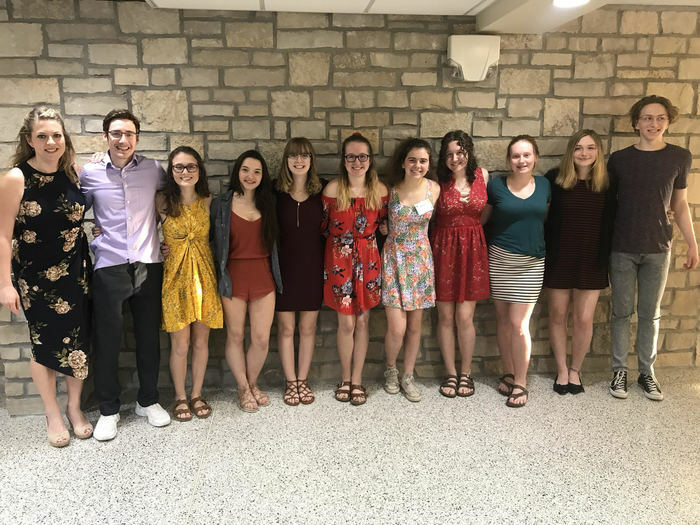 NHS and Student Council students participated in State, a Youth Leadership Convention. 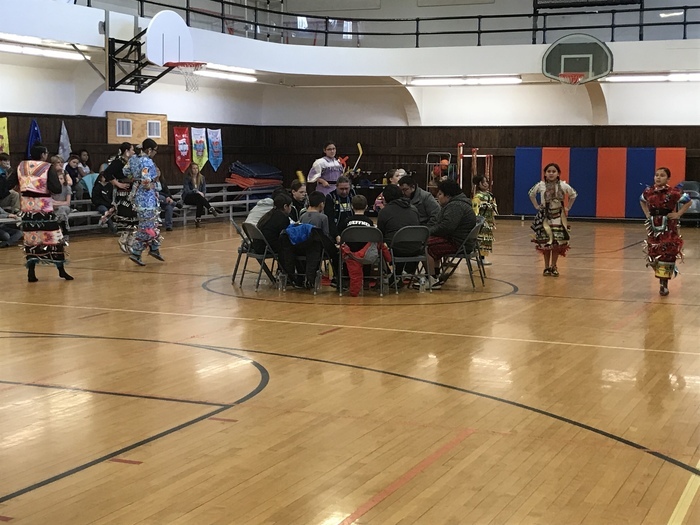 Pow Wow at ICC yesterday! Our flat screen in the lunchroom/stage no longer works. Does anyone have a 46+ inch flatscreen you'd like to donate to NKHS? It can be old! Thank you. Keewatin parents- a reminder that elementary students cannot have cell phones in class or at recess. Please consider keeping cell phones at home. Please help us keep our kids fully present for their learning. "Distractions!" was the theme of Spartan Pride Time today. Students checked out their screen time and their most used app. Some students had over 1,000 notifications in a day, and some logged over 40 hours a week of phone use, with 23+ hours on Snapchat alone. Matt Jeska and Dylan Kukkonen were named Iron Range wide STEM (Science Technology Engineering and Math) All Stars!! 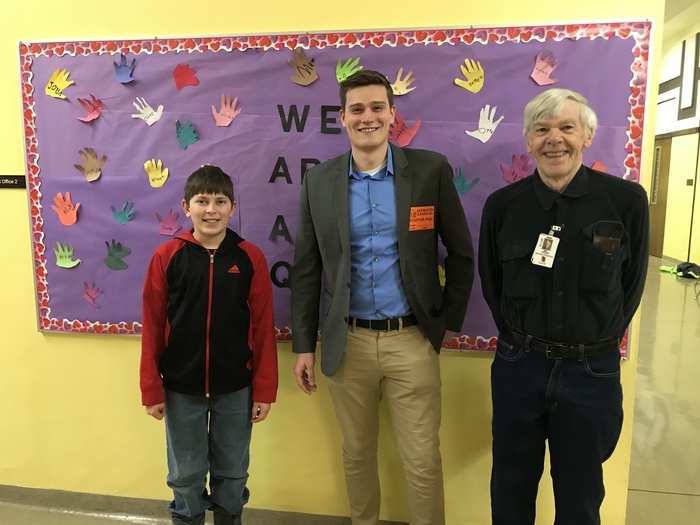 The Range Engineering Council (REC) and staff here at NK are please to announce that Matt Jeska and Dylan Kukkonen have been seclected to attend the fourth annual Iron Range wide STEM All Star Banquet and be recognized as a STEM All Star!! 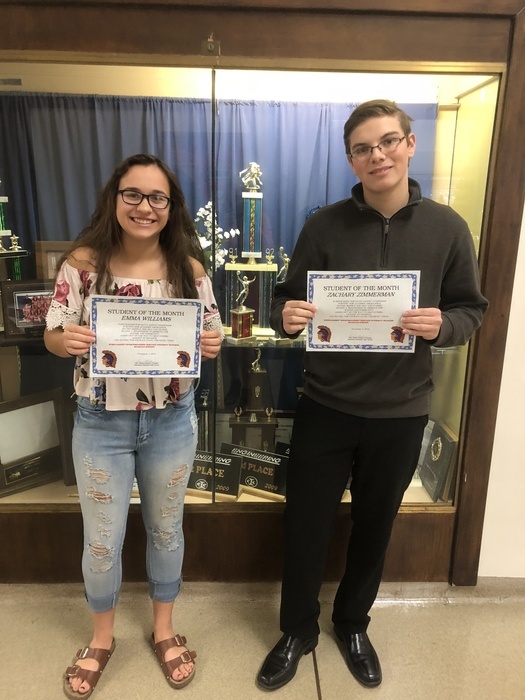 They have shown that they have excelled in STEM related coursework and have demonstated their passion for STEM related fields by participating in extracuricular activities, continuously learning, and have a genuine interest in pursuing a STEM related career. To support the overall vision of the REC of providing opportunities for area students to learn about STEM fields and help them be successful in their future endeavors, the REC will be giving away a number of Scholarships. All awardees will receive a STEM All Star Jacket to recognize their success. 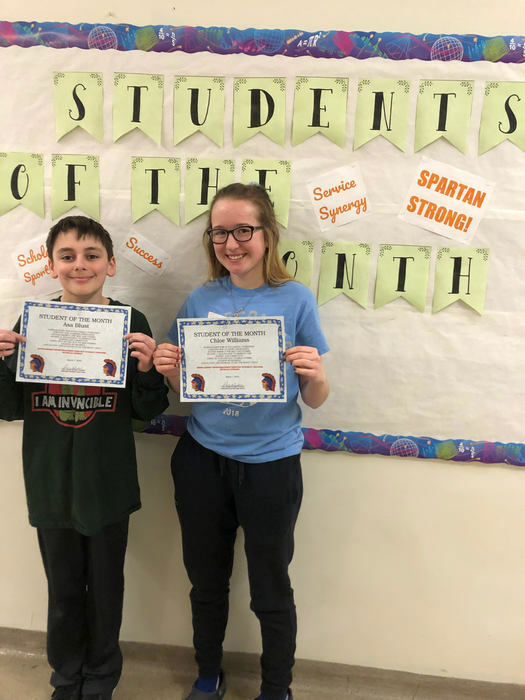 Congratulations Dylan and Matt for being named an Iron Range STEM All Star!! NKHS cell phone policy is: no cell phones during class. The distractions hinder learning. Please keep phones/ear buds at home, if possible, especially 7th and 8th graders. Reminder to students: School dress code is "Business Casual." 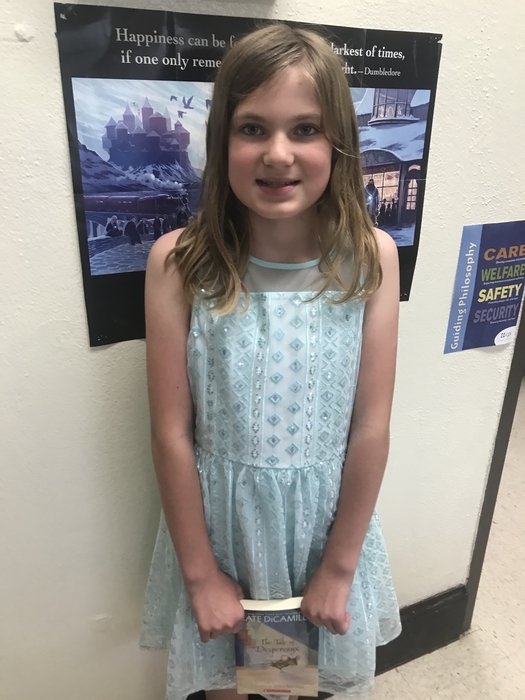 Dress for success at school, like it is your job! Thank you. FINANCIAL EDUCATION Lunch and Learns Practical information to help you in Life Every other Wednessday Todays discussion: Scholarships What You Need To Know Dreams don’t happen, they are planned! Go to 15 of them and earn ½ credit North Star Credit Union. NKHS went into a brief soft lockdown today when a student had a health issue. 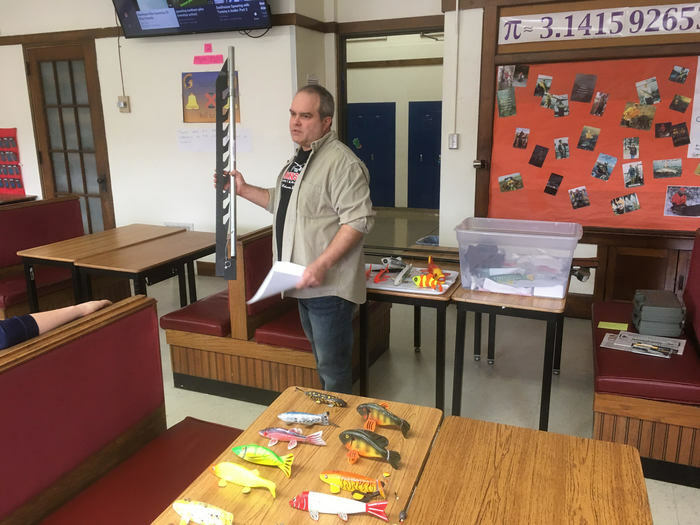 Everyone did a great job, and the student is safe and ok.
Rick Guertin, from the Minnesota Darkhouse Angling Association, spoke to the kids in Luke Adam's fishing course today about spearing equipment, history, decoys, and how the Association worked with the DNR to manage the northern pike population. 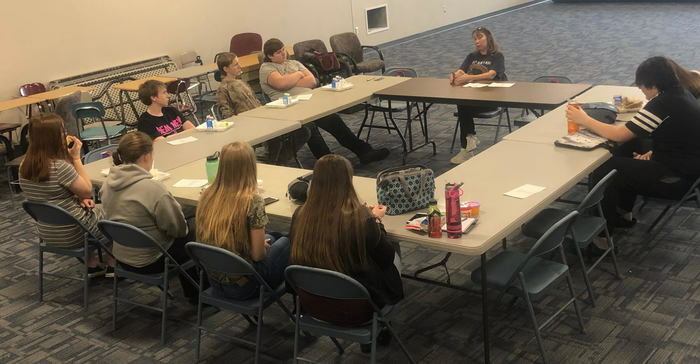 “Let’s Chat: Getting Real About Sexual Violence” is a team of local Itasca County leaders that present info to help kids make healthy choices and avoid becoming victims or perpetrators of sexual violence. 7th/8th graders heard these important lessons today in health class. 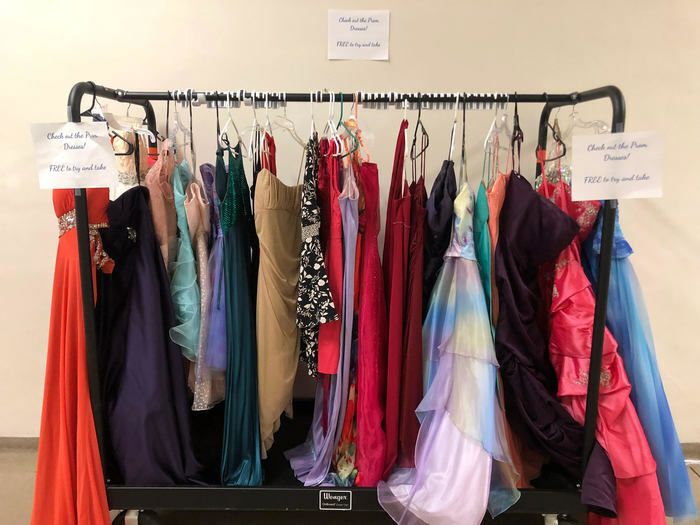 Dress donations are accepted at NKHS. Students may have a dress for free! NK Robotics competed in Duluth this weekend. There were 63 teams! Sew a Tote Bag~ Comm. Ed. adult class. Tote bags are simple, easy to sew and make a fun project for even the beginner! Wednesday March 20, 5:30-7:30pm Keewatin Elem. School. $15.00 plus a $20.00 materials fee. Register at www.getlearning.org or call 885-1280 ext. 51171. Book Fair is open next Monday and Tuesday during school and Tuesday evening during conferences! 3:30-7PM NKHS . 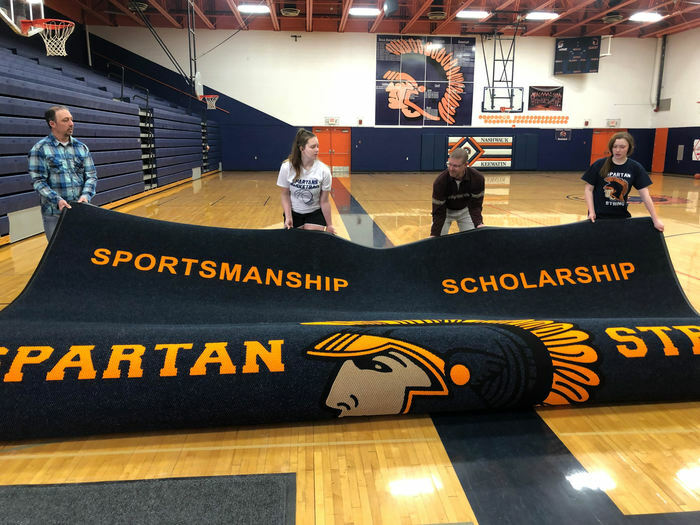 Spartan Spiritwear is also on sale! Parent Teacher Conferences for NKHS will be at the high school on Tuesday, March 12th from 3:30-7PM. Parents of Seniors: Counselor Lisa Tucci will be available for any Scholarship, FAFSA, credits, and graduation information! The Book Fair will be open in the upper gym as well. NKHS and Keewatin Elementary conferences will be held tomorrow at Keewatin Elementary from 3:30-7PM. The City needs to shut off the water to the high school tomorrow after school to make repairs. Conferences will be at NKHS and Keewatin next Tuesday the 12th, 3:30-7PM. NKHS Book Fair is open 3/8, 3/9, 3/11, and 3/12. It is also open during conferences on Mar. 7th and Mar.12th! 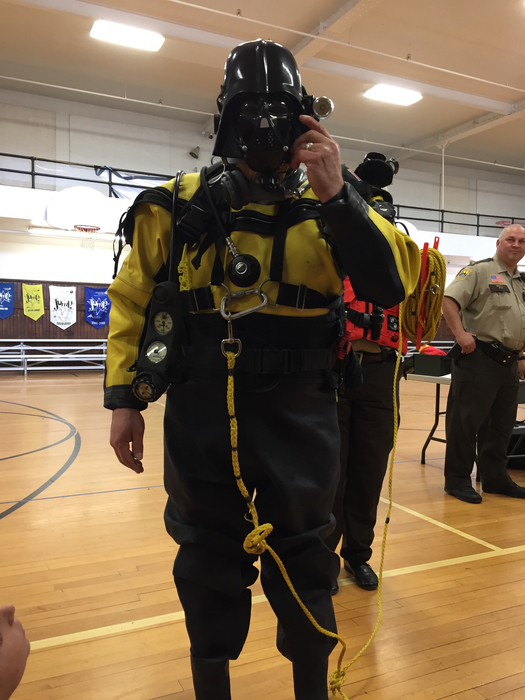 NKHS students went to a Career Fair at ICC today. 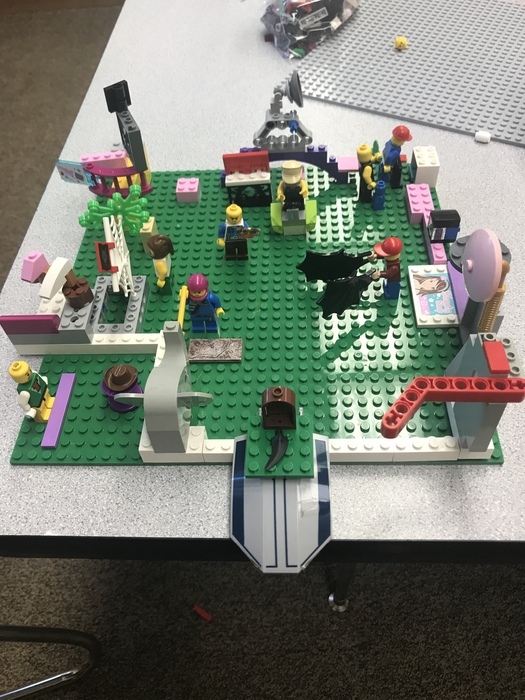 Book fairs at both schools, open during conferences! 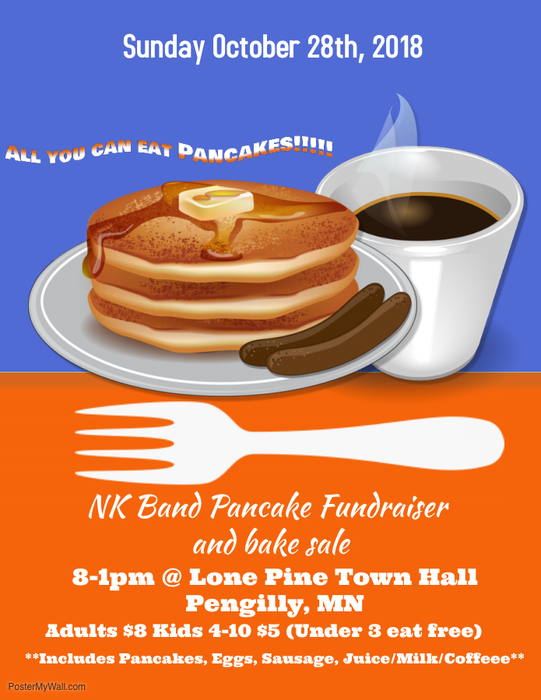 Proceeds directly benefit NK classrooms and students! 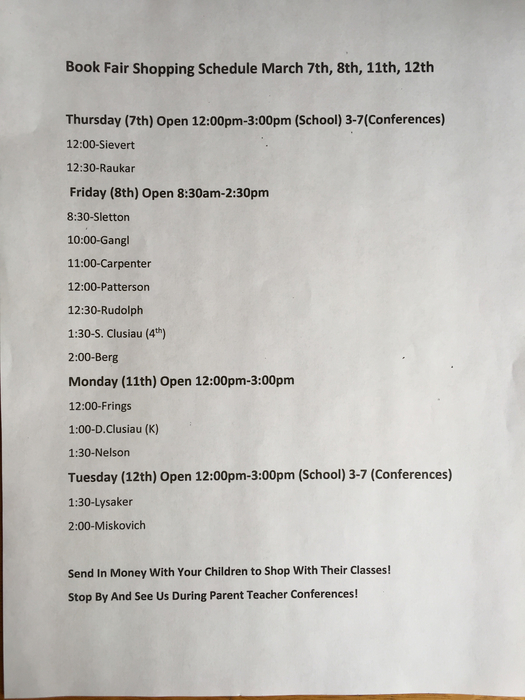 At Keewatin you can send $ for books with your child(ren) so that they can shop- please see schedule attached. Soccer Registration for boys and girls in grades 1-6 is tonight (Mar. 5th) from 6-8. Nashwauk HS stage area. Also looking for U8 and U10 coaches! Contact Sarah Mell for more information. These NKHS players leave for the State Hockey Tournament tomorrow morning. Go Raiders! 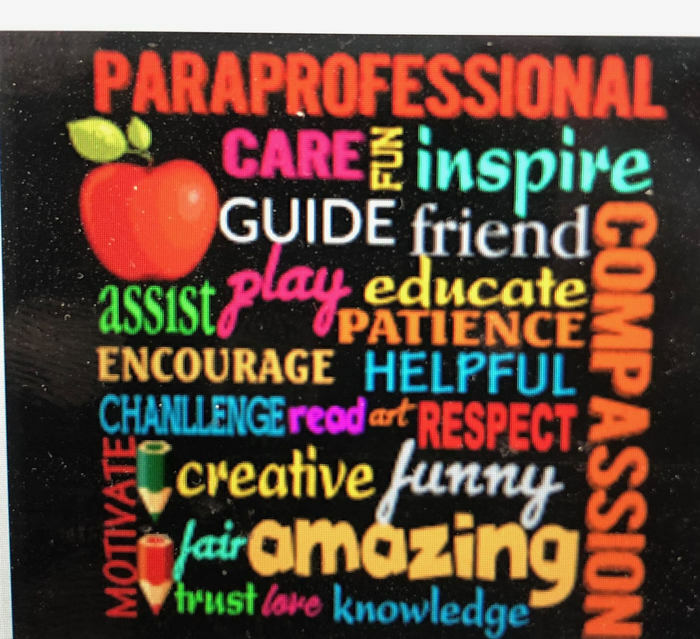 It's paraprofessional appreciation week! Thank you for all you do EVERYDAY! 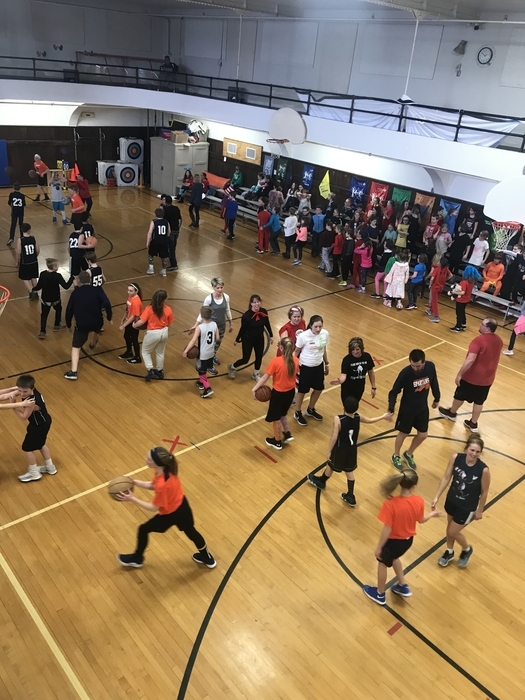 Our annual staff vs. the 6th graders basketball game at Keewatin yesterday was well played and fun to watch! A huge Thank you to local heroes who came to school on Friday to read Dr. Seuss Books to classrooms. Happy Birthday Dr. Seuss! 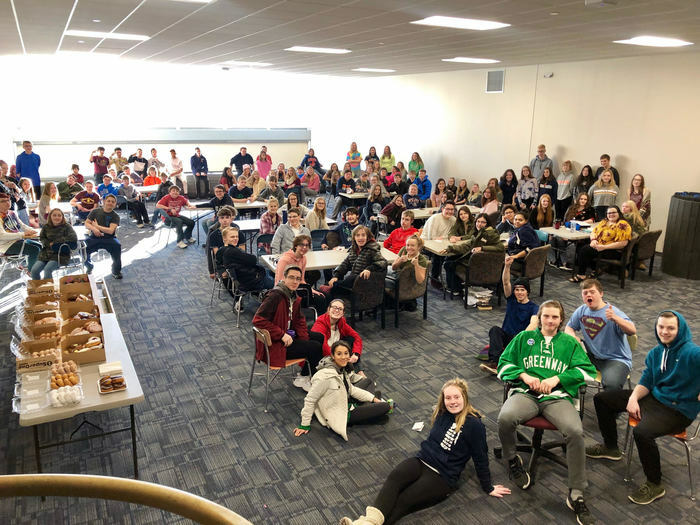 30 NKHS students have had perfect attendance all year! Yahoo! 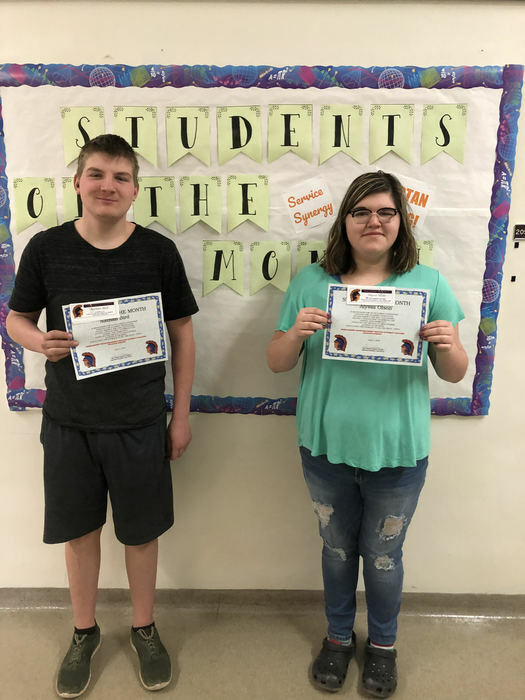 March Students of the Month at NKHS. 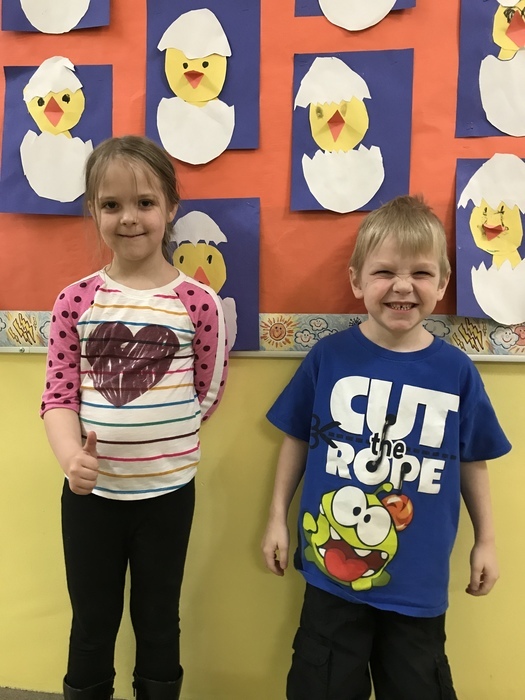 Good work, Asa and Chloe! Way to go, Matt and Kole for winning their matches. 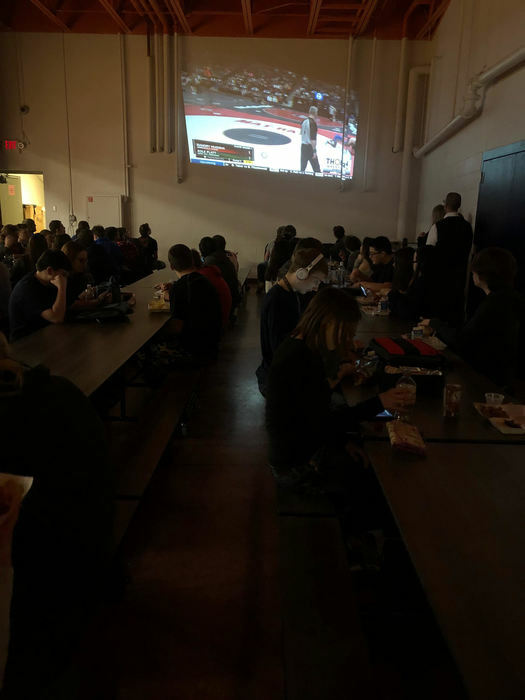 We cheered and watched live at lunch! The Do-It-Yourself Class is baking cookies today to see if the ovens work. 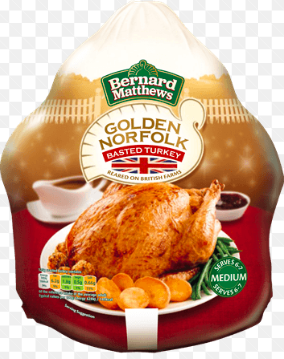 Fun, and tasty! 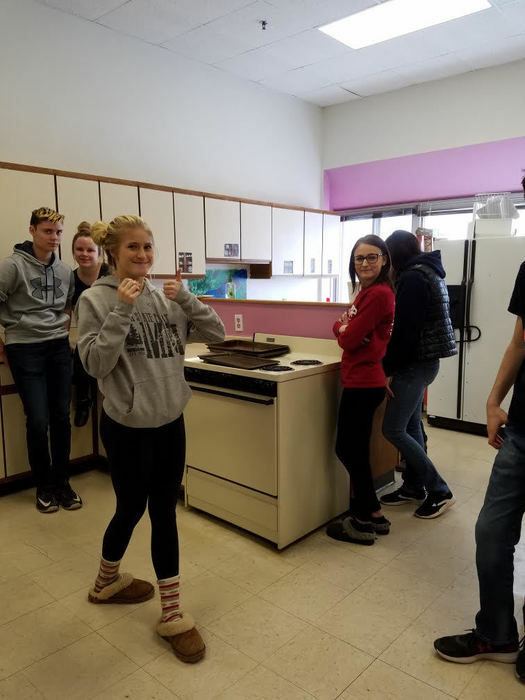 They are going to remodel our cooking lab. Terrific band concert last night NKHS! The new shells are great, too. A pep fest was held today to send our boys off to State Wrestling! Law enforcement escorted Kole and Matt out of town. Check out our new rug art. Go Spartans! Thank you for supporting our schools, Lowe's! Lowe's donated "Safety Buckets" for all NK classrooms to be prepared in the event of an emergency. 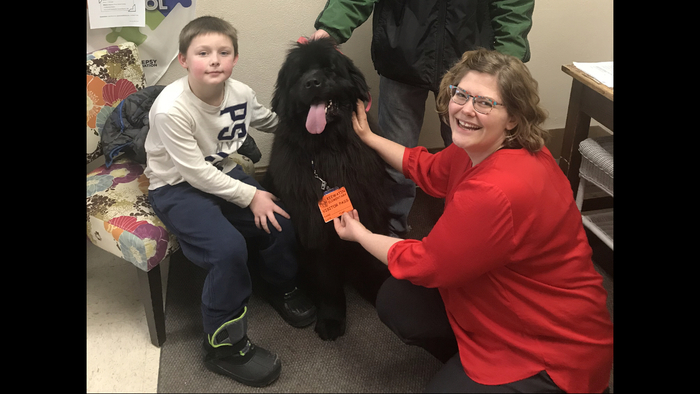 Tune into KBJR 6, MY 9, or Duluth 3 for a news feature tonight at 6PM! 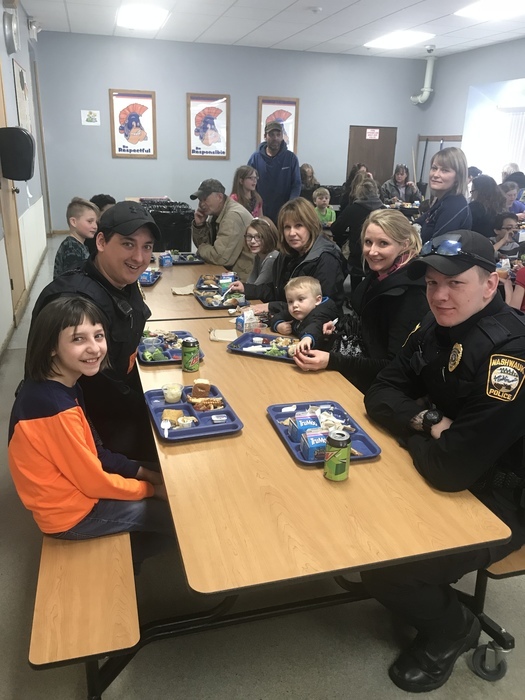 The Nashwauk Fire Department treated our top academic students to donuts this morning! NK Conferences are the March 7th and March 12th. A form sent yesterday mistakenly shares different dates. 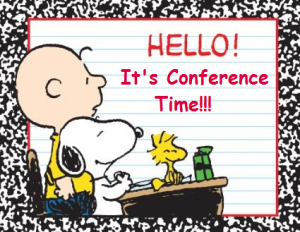 Thursday, March 7th and Tuesday, March 12th are conferences! 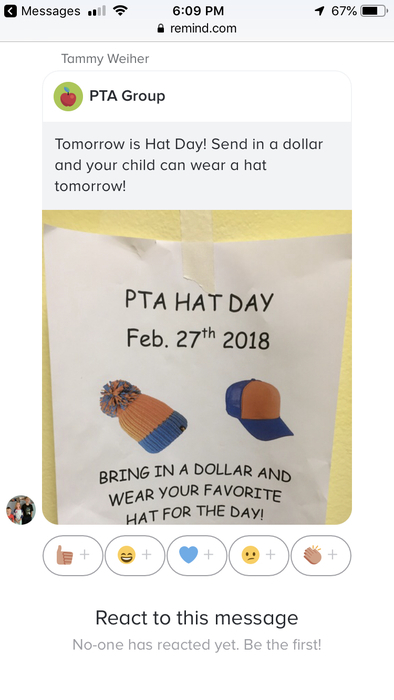 Bring $1 to wear a hat tomorrow. Extra credit for a hat from the 80s!! High School Registration for 2019-20 begins!! High School students grades 7-11 will be registering for 2019-20 classes the week of February 25. A copy of the 2019-20 Registration Guide is on the website under the "Documents" button. Students if you do not have or are unable to log in to your Infinite Campus account, please see Mardell. Reminder to all students and parents at NKHS: We are a closed campus for lunch. Students are not allowed to leave during lunchtime or order food off campus. Thank you! Do you want to volunteer at the NKHS Book Fair? 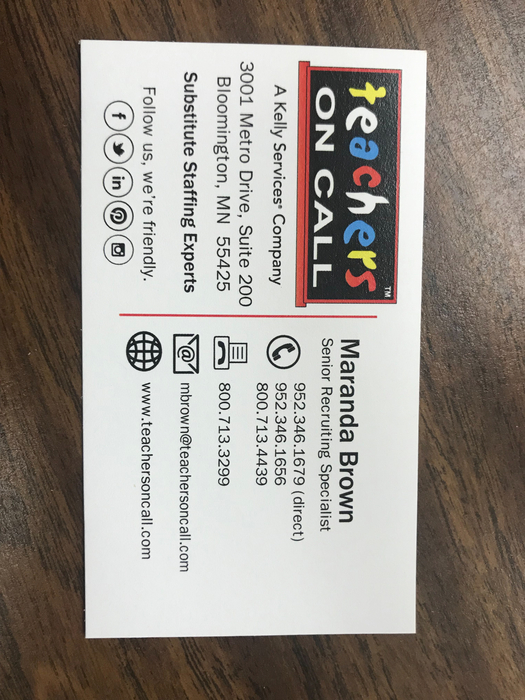 Contact Ranae at 218-969-7778 via call or text. Thanks! Mr. Adam's fishing class went out on Blue Lake today! Follow your dreams, Spartans! Dress up day today is "Future Profession." Teachers shared all of the elective courses we are offering next year during an assembly. 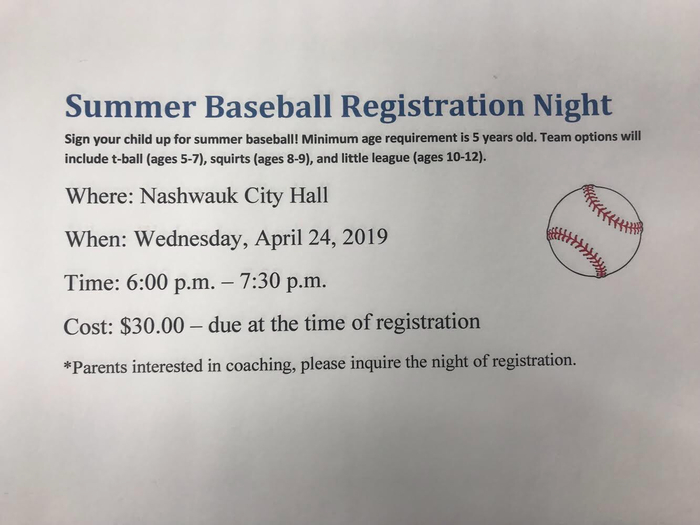 Registration for 2019-2020 is Feb. 25-28. Take classes that will help you achieve after high school! Spend your Valentine's Eve with your entire family! 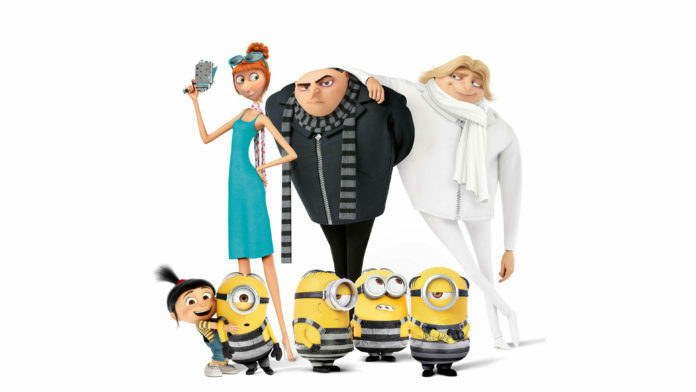 Movie & Dance night -Keewatin Elem. Gym. 5:30-7pm. Free popcorn! PTA concession stand available. RSVP to: sujohnson@isd319.org with how many will attend. An adult must accompany children. Hope to see you Thursday! The Boys Basketball Game for tonight has been cancelled. https://www.youtube.com/watch?v=RurH739zdN0&feature=youtu.be Seniors: You will be taking the NAEP test March 1st. Please watch the video linked above. Thank you! 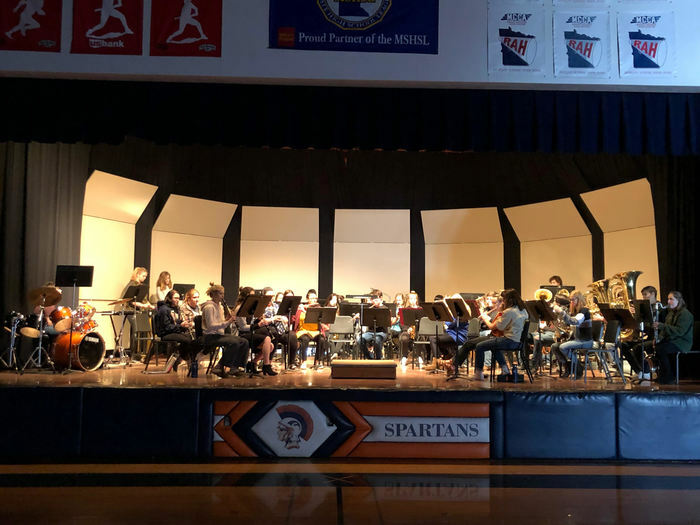 Spring Band Concert Please join us Thursday, February 28 at 7 PM in the High School gym for an evening of musical magic!! 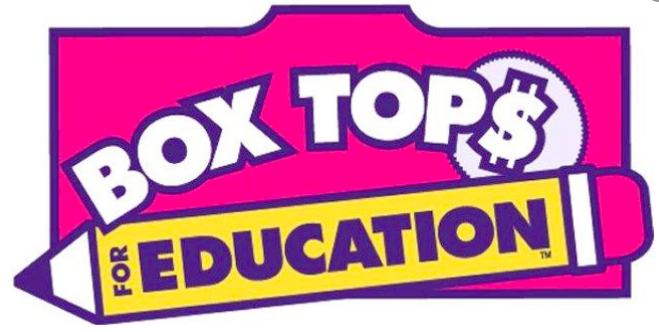 Calling all box tops! 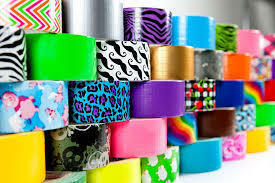 Please send boxtops to the Elementary School through the end of February! Each boxtop is worth 10 cents! Wow! NKHS students will be financially literate. Thank you to Jody Fiest of North Star Credit Union, for teaching us. Mrs. Tucci, you are the best! Thank you for working at NKHS. NKHS Reminder: There is no supervision in the building after school. Please make arrangements for a ride back if you are waiting for a game or late practice. Thank you! Aquarium Club starts this Thursday Feb. 7th for grades 3-6. Keewatin Elementary School. Sign up soon if interested! getlearning.org or bring registration form to Ms. Johnson. Nashwauk-Keewatin Public Schools will be closed on Thursday, January 31, 2019 due to continued frigid temperatures. Stay warm and safe Spartans! 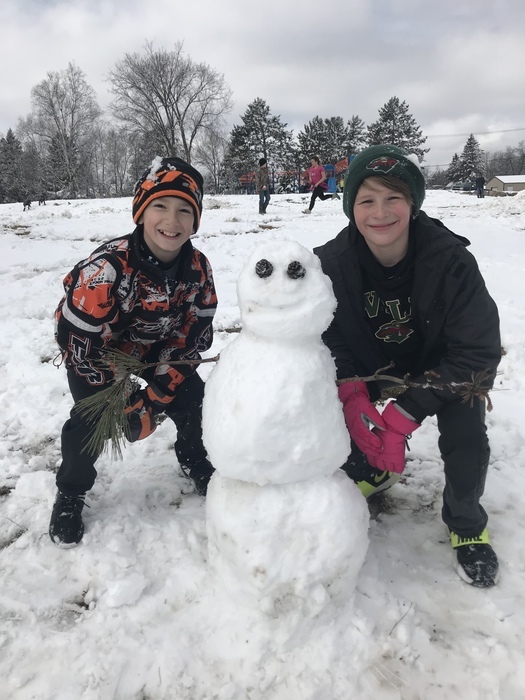 Nashwauk-Keewatin Public schools is closed Tuesday, January 29- Wednesday, January 30th, 2019. Stay warm Spartans! We are halfway through the school year! Remember: NO SCHOOL tomorrow, 1/18 (staff development day) and NO SCHOOL Monday 1/21 in observance of Martin Luther King Jr. Learn American Sign Language with Jackie Haley. Wednesdays starting Feb. 6th (15 sessions) 5:15-6:30pm Nashwauk High School. $100.00. Go to www.getlearning.org to register or call the Comm. Ed. office at 885-1280 ext. 51171. Questions email Jackie: halej69@gmail.com. The Box Tops Contest is in full swing at Keewatin! The class that brings in the most boxtops wins a party from the PTA!! 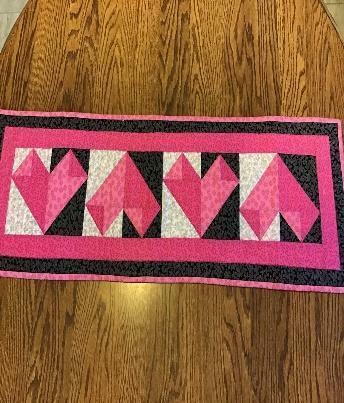 Sew a Valentine Table Runner ~ Comm. Ed. two day adult class. Jan. 16th & Jan. 30th. Keewatin Elementary School. 5:30pm-7:30pm. Register at www.getlearning.org or call 885-1280 ext. 51171 for more information. Due to very icy roads, Nashwauk-Keewatin Schools will run two hours late today. Classes will start at 10:25am. Cheer Clinic for grades K-6 this Sat. Dec. 15th, Nashwauk HS 9-11am. $20. 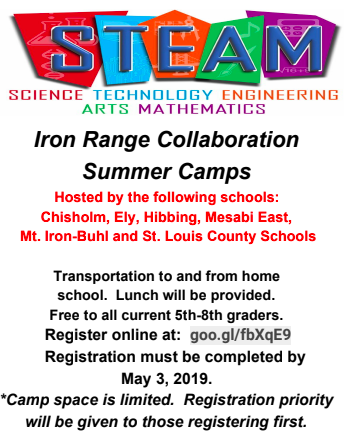 Register at www.getlearning.org or send registration form to Ms. Johnson by Friday. Poms and snack provided. Good afternoon! The drug dog made a visit to school today and the students were in a soft lockdown in class during 2nd period. Students continue to work during soft lockdowns. The K-9 unit will make regular stops on campus. Thank you! We’re hiring substitute teachers and paraprofessionals! Please apply! 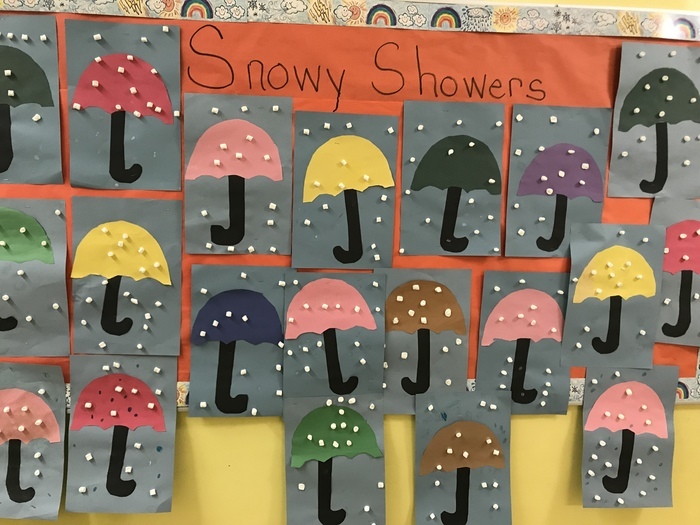 Winter Craft Class with Mrs. J. Nelson today after school for students in grades K-6. There are still a few spots open. Go to www.getlearning.org to register. 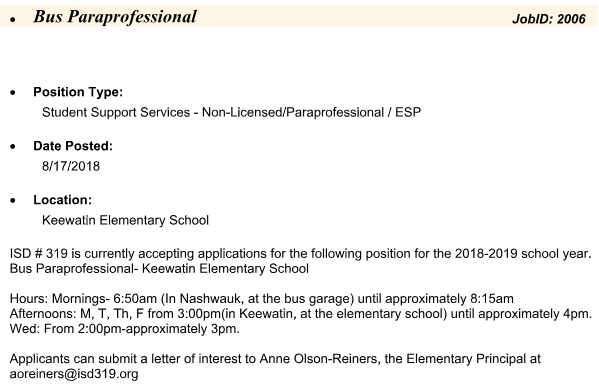 Nashwauk-Keewatin Public Schools has partnered with Teachers On Call to fill our Substitute Teacher and Substitute Paraprofessional positions. Please visit www.teachersoncall.com > Apply Now or call TOC at 800.713.4439 for more information. 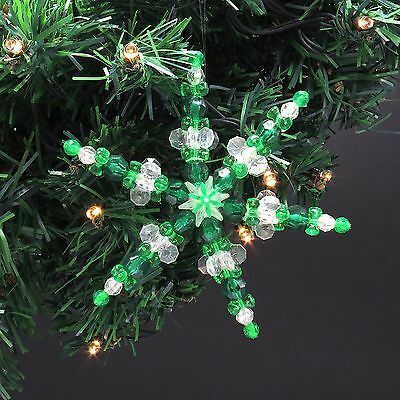 There are still openings for winter craft classes at the elementary school Dec. 4th Snowflake Ornaments (grades 1-6) and Dec. 10th Holiday Travel Mug (grades K-6). Classes start at 2:45pm ~ $8.00. Email Ms. Johnson if you'd like to sign up your child! sujohnson@isd319.org. Good afternoon! NKHS had a soft lockdown today while drug dogs were in the building from about 11AM-11:40AM. The students and staff did a great job. The K9 Units will make regular visits to our campus. Archery registration for students in grades 4-12 Tuesday, Nov. 27th in the Keewatin Elem. 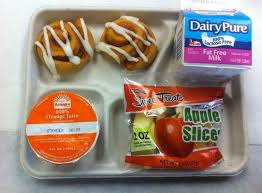 School Cafeteria. 5:30-7:30pm. 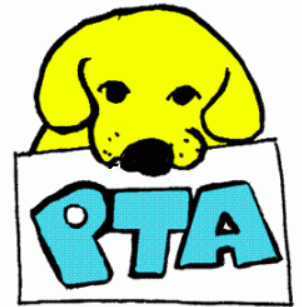 Friendly Reminder that we have a PTA Meeting on Monday the 19th at 4:00pm in Jill Nelson's Room. Parent teacher conferences are tonight! 3:30-7PM Also, mandatory winter sports meeting for basketball players and parents at 7PM at NKHS in old pool area. Thank you! 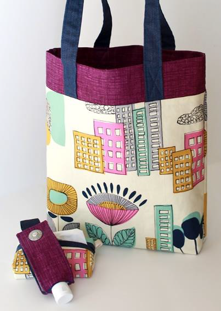 Learn to sew quick and simple gifts! Projects include a coaster, tissue holder, hot pack/sachet, cord keeper and a gift/business card holder. $15.00 plus $7.50 materials fee. Nov. 14th 5:30-7:30pm. Keewatin Elem. School. Register at www.getlearning.org or 885-1280 ext 51171. NKHS Jostens Survey Results are in! Thank you for participating in the survey. We have work to do to communicate with parents and students, but we are willing to get better for our kids. 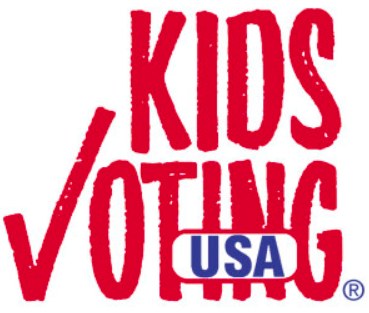 Results are posted on the website, or email rseykora@isd319.org for a copy. NKHS Staff as "The Office"
One of our staff winners of the Halloween costume contest. Parents and community members are invited to our Veterans Day program on Nov. 12 at the NKHS big gym at 10AM-11:11AM. If you are a vet, we would like to honor you. Thank you for your service! 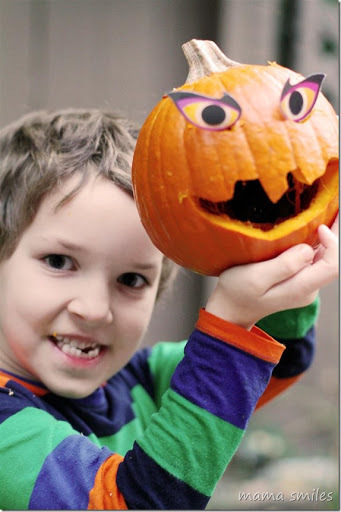 Mark your calendar for this Thursday's Pumpkin Carving & Dance Party! 5-6:30pm. Keewatin Elem. School. Sloppy Joe's, craft stations, pumpkins for everyone, dancing and it's all FREE for the whole family! Come early for the Title 1 meeting, starting at 4:15 in the media center! Coronation is 10/10 at 7PM in the big gym! Bonfire at S. Side of Nashwauk Rec Center right after coronation. 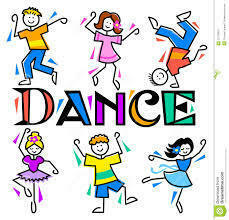 Dancers in grades K-6~Sign up before it's too late! Jazz/Hip Hop Fusion and Acrobatic Dance will be starting THIS Wed. Oct. 10th, 17th and 24th. 3 weeks only. Coach Kayla from Dreams Come True is excited to once again, come to our school. Register at www.getlearning.org. 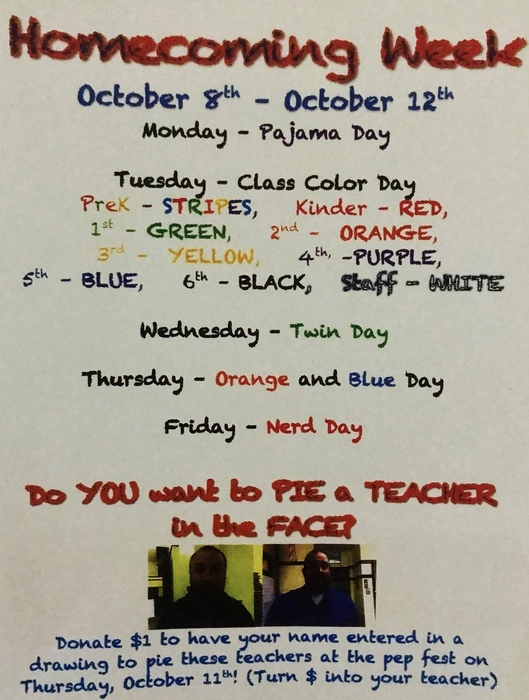 Keewatin Elementary Homecoming Theme Days! 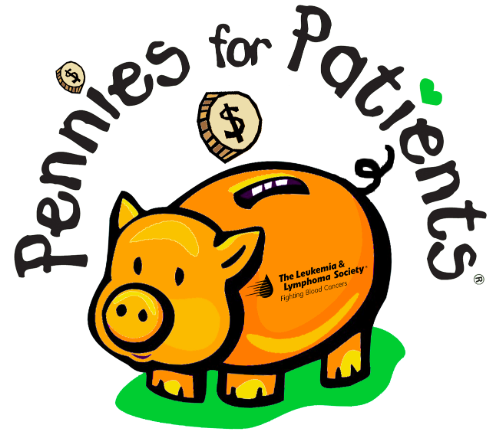 The Keewatin PTA is doing a fundraiser! 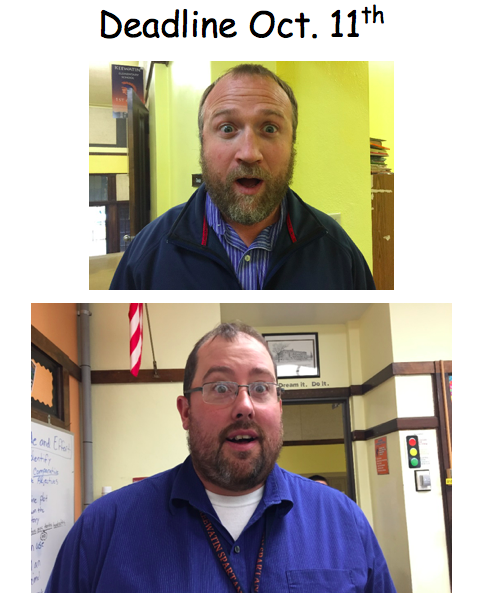 $1 buys an entry into a drawing to throw a pie into Mr. Sletten or Mr. Gangl's face! N-K Girls in grades 6-12 ...The FREE "Girls Who Code" club starts this Wed. Oct. 3 from 2:15pm-4:00pm in the Computer Lab! If you haven't signed up yet, stop by the office or talk to Julie in the library. This is a safe, fun and supportive environment of peers! 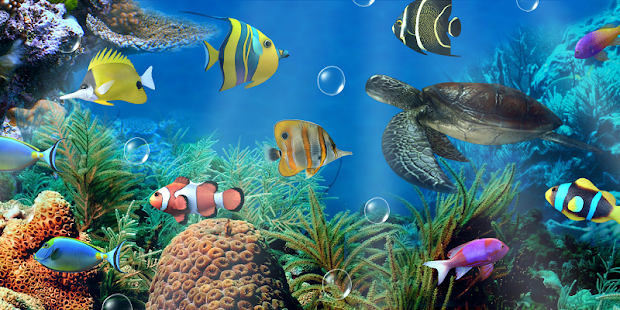 Students in grades 3-6~ join Mr. Bishop in learning about aquariums, fish, facts & FUN. Monday Oct. 1st 2:45-4:15pm. Just for attending you'll get a $5.00 Walmart card! 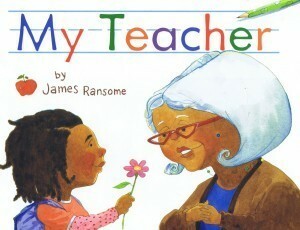 Register at www.getlearning.org or see Ms. Johnson Thurs. We are hoping to get a few more students, ages 10 and up, to register for the learning to sew using a sewing machine class! Wed. Sept. 26th from 2-4 in Mr. Sletten's room. $15 includes materials. Make a cool project. Register at www.getlearning.org or see Ms. Johnson Monday. Hope to see you at Math Night tonight! 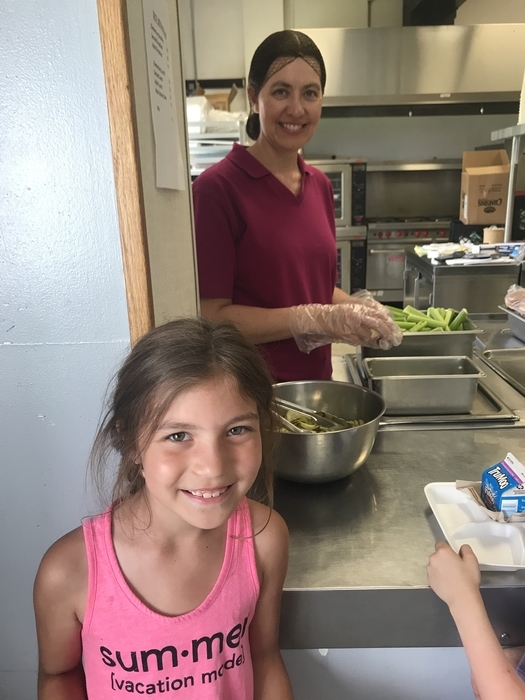 Dinner starts at 5pm Keewatin School cafeteria! Lots of math fun to follow and a Kindle giveaway to one lucky student. Adult drawings too! Don't miss it! Math Night for ALL families is Monday, Sept. 17th from 5-6:30pm at the elem. school. Don't miss a free dinner and lots of fun math activities! If your family plans to attend, and has not yet sent in your RSVP, reply to this message or send your slip to school tomorrow! Spiritwear order deadline has been extended to Sept. 18th. www.blue84spirit.com/mn7245 Only 17 items have been ordered, so far. There is a minimum of 36 pieces for them to fill our order. Interested in being on an archery team? There will be an informational meeting tonight at 5pm in the Keewatin School cafeteria. Students in grades 4-12 and parents are welcome to attend. 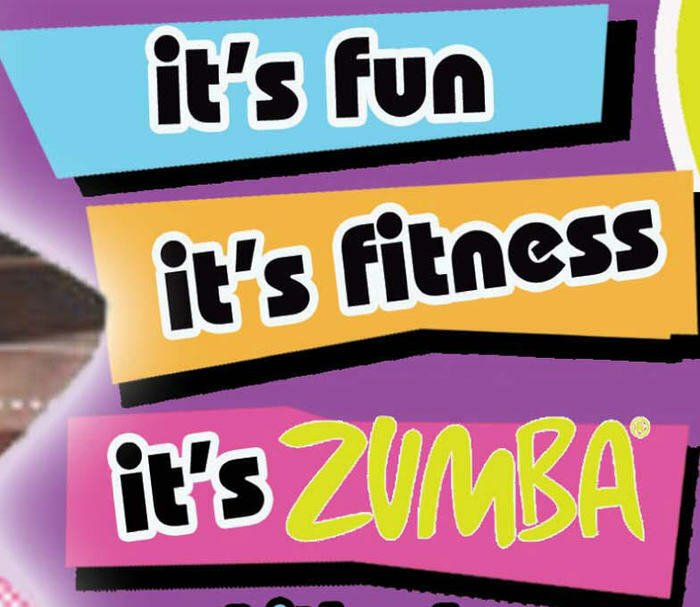 Zumba Fitness with Angela ~ Tuesday, Sept. 11th upstairs Keewatin City Hall. 5:30-6:30pm. 6 week session/$30.00. Register at www.getlearning.org. Explore the Fall 2018 Community Education catalog online at www.getlearning.org Registration is open! Sign up online and receive 10% off ALL N-K classes! Use Code: FALL2018 to get your discount. Lots of youth and adult classes offered! 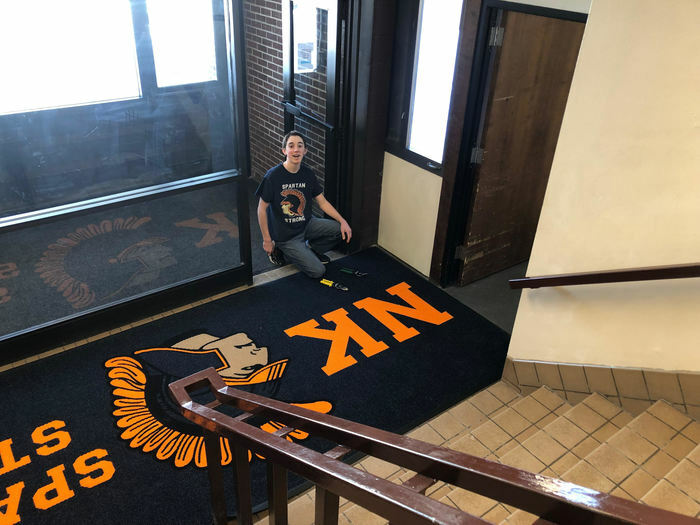 NKHS Open House is tomorrow from 5PM-7PM! Meet the teachers and Principal Seykora in big gym at 5PM. Calling all volunteers! Do you know someone who can help us with morning and afternoon supervision of a safety patrol? Volleyball practice. NKHS Go Spartans! Spread the word! NK is looking for a student support professional. ALL Student Athletes! We will be offering Impact Testing on Tuesday Aug 21 at the NK High School. Female Athletes at 5pm. Male Athletes at 5:45pm. All are encouraged to attend. Contact AD with questions. Volleyball players! 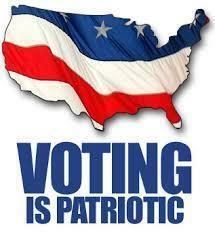 Remember to get registered. August 13th is the first day of practice. Schedule for varsity the 1st week will be from 8AM-noon. 7th and 8th grade will practice 8-10AM M, T,TH, and F. Wed. practice will be 9:30AM-noon. Hello Spartan Families! My name is Ranae Seykora, and I am excited to be the new principal at NKHS. Looking forward to meeting you! Who is my child(ren)'s teacher??! At Keewatin, class lists will be posted on our southwest door by the turnaround on Tuesday, August 28th at 3pm. We're excited too! Lost and Found! 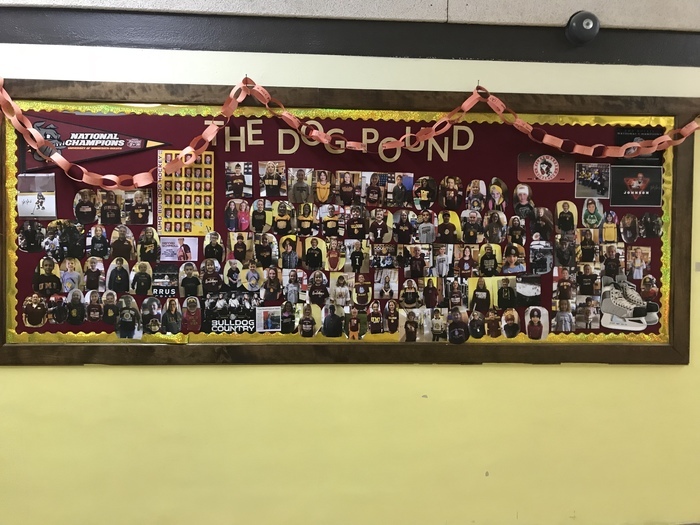 Our student lost and found will be donated on July 1. If you're missing items, and want to look for them here at school, please call 218-885-1280 x51150. Penultimate day of school birthdays! Last day of school tomorrow for N-K Schools. Because of a 70% probability of rain, we will postpone bike to school day for Wednesday. We will try again for next Wednesday, May 16! Bike to school on Wednesday, May 9, 2018! Celebrate Bike to School day with the principal! 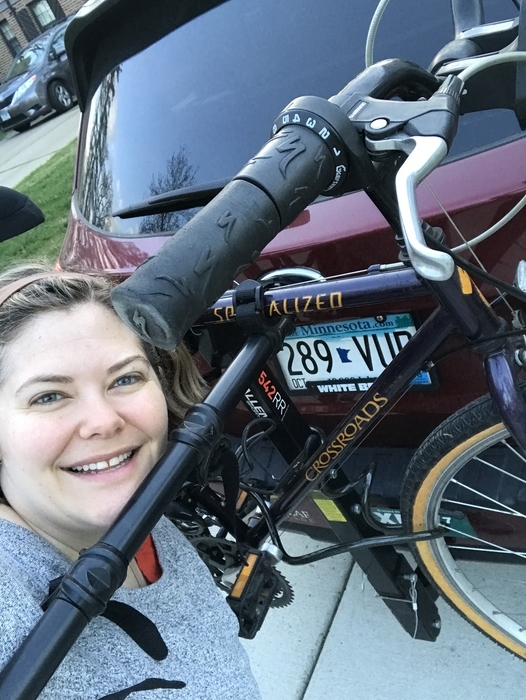 Ms. O-R will be biking from Nashwauk-Keewatin on the trail. More details to follow! Enjoy a muffin from Ms. O-R if you bike to school on Wednesday! 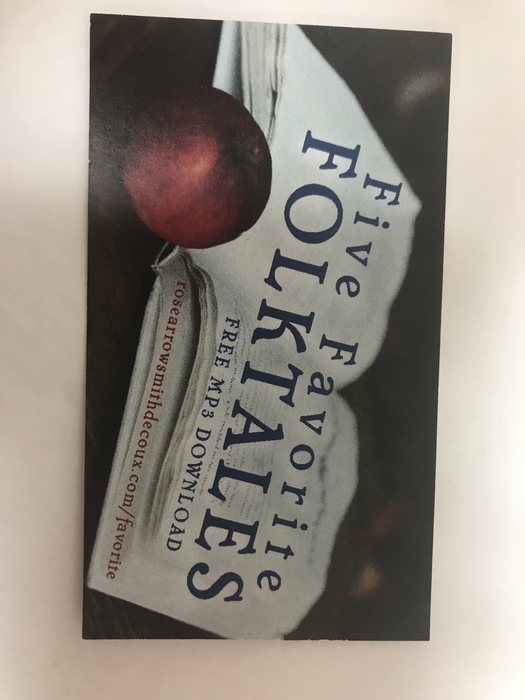 If your K-3rd grader liked our storyteller, Ms. Rose Arrowsmith Decoux today- shes got free stories online! May is packed with fun events! 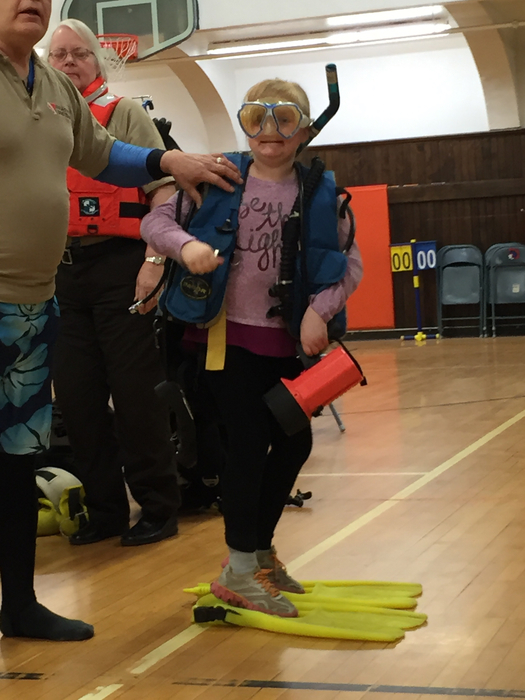 So far this week we’ve had boating safety with the Itasca Cty. 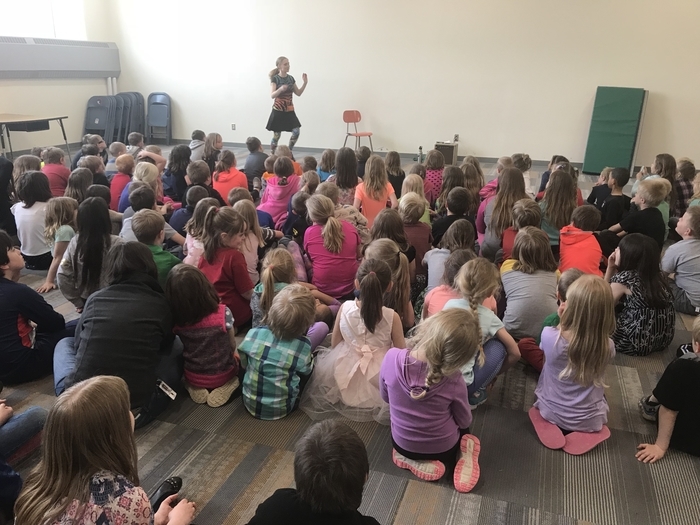 Sheriff’s office and a storyteller! 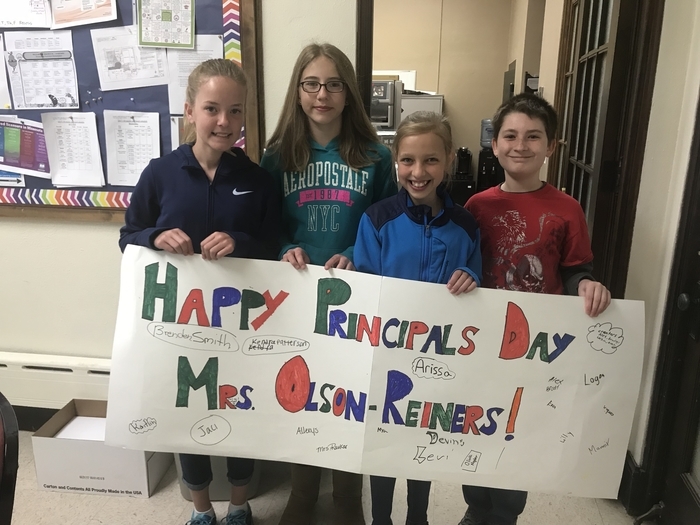 And, today was principal’s day- lucky me!! 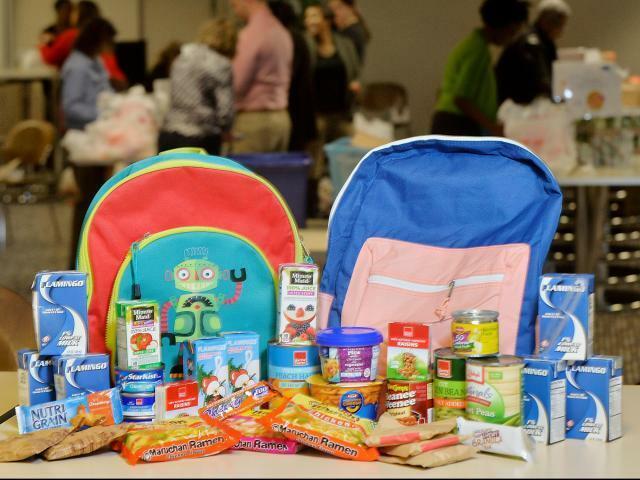 Did your child benefit from a "Buddy backpack" from the United Way food shelf this year? Please have them take this survey so they can give their feedback on the snack foods! https://www.surveymonkey.com/r/buddybackpackchild2018 If your child didn't receive a buddy backpack, but you think they need one for next year, please let Ms. Tiff Bodin know, and we'll add you to the list! Keewatin Fun Run Donations need to be turned in tomorrow (Friday, 4.27.18)) in order to qualify for the "highest money collected prize"? They can be turned in to Ms. Johnson. The Fun Run is this Saturday starting at 9am in the Keewatin parking lot. Hope to see lots of families there!! Saturday is the Nashwauk-Keewatin High School "A Night Under the Stars" Prom! The Grand March will start at 6:00PM in the High School Gymnasium. 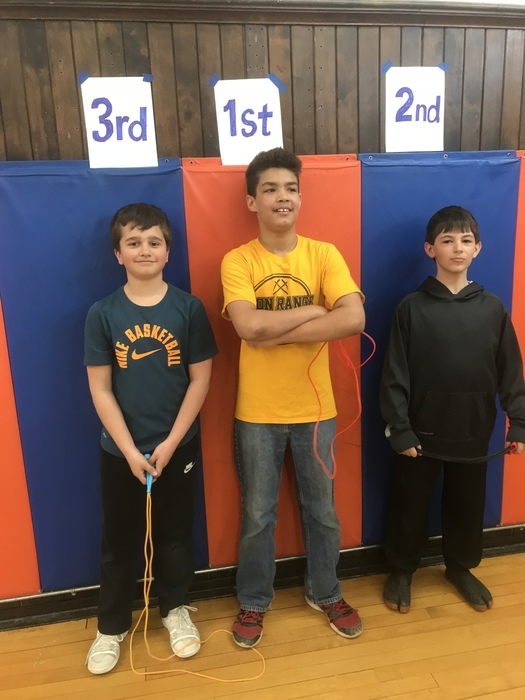 6th grade boys jump rope winners! 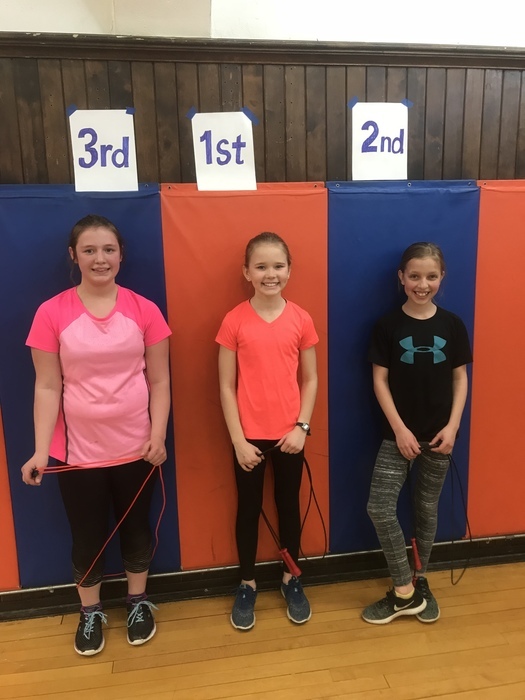 6th grade girls jump rope contest winners! 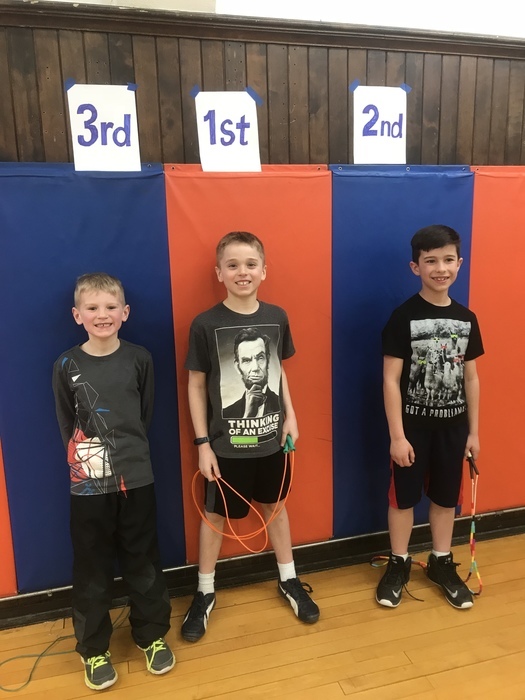 5th grad boys jump rope winners! 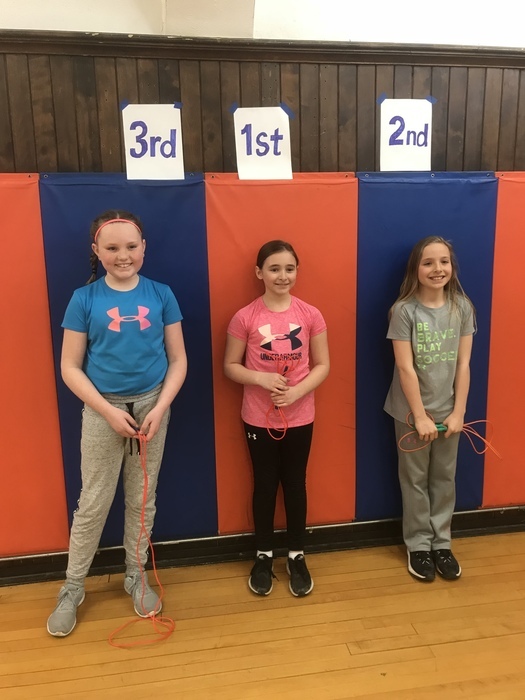 5th grade girls jump rope winners! 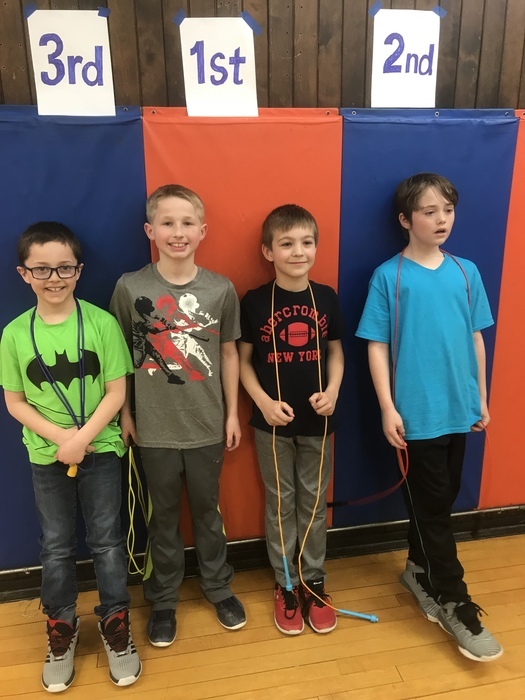 4th grade boys jump rope winners! 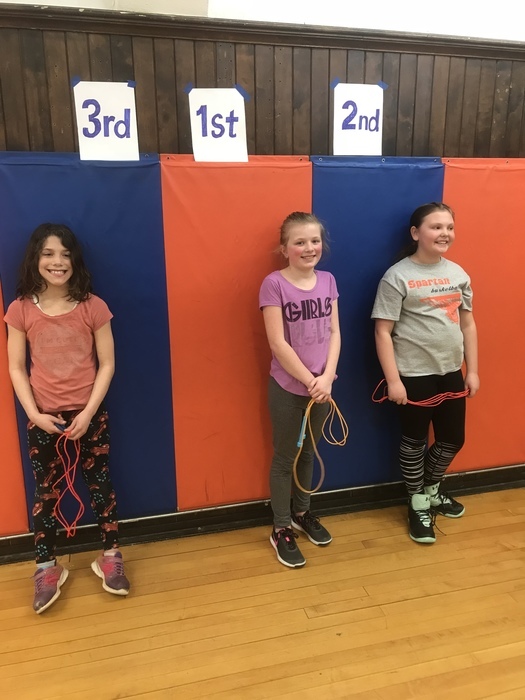 4th grade girls jump rope winners! 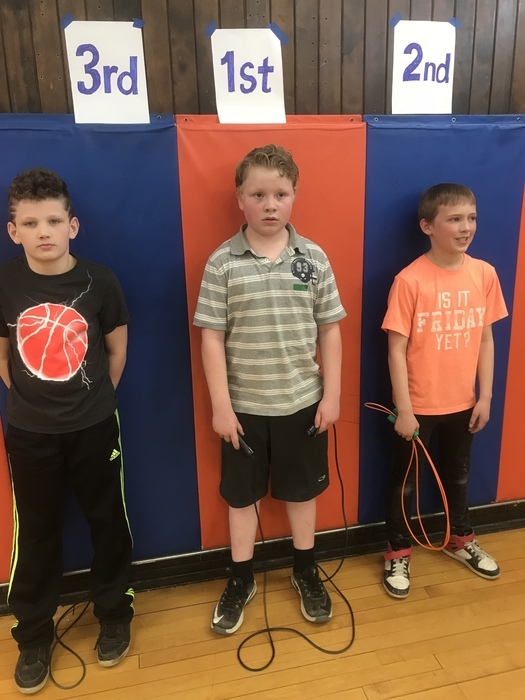 3rd grade boys jump rope winners! 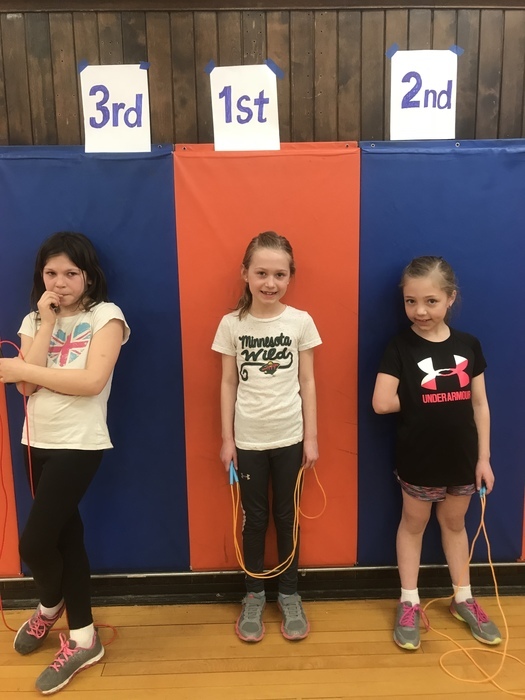 3rd grade girls jump rope winners! 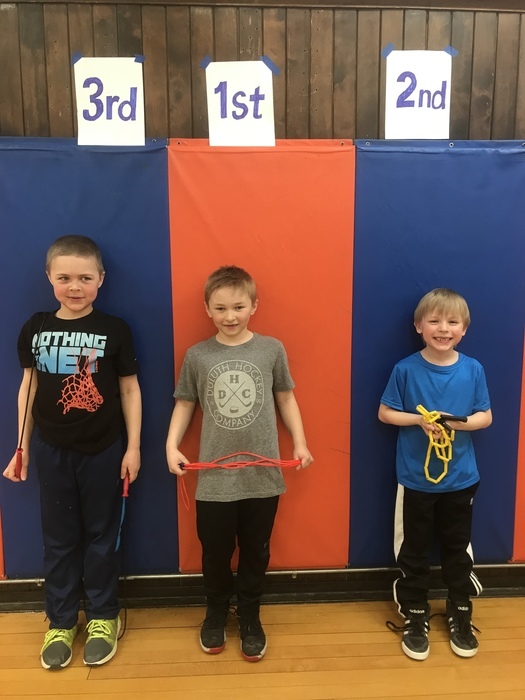 2nd grade boys jump rope winners! 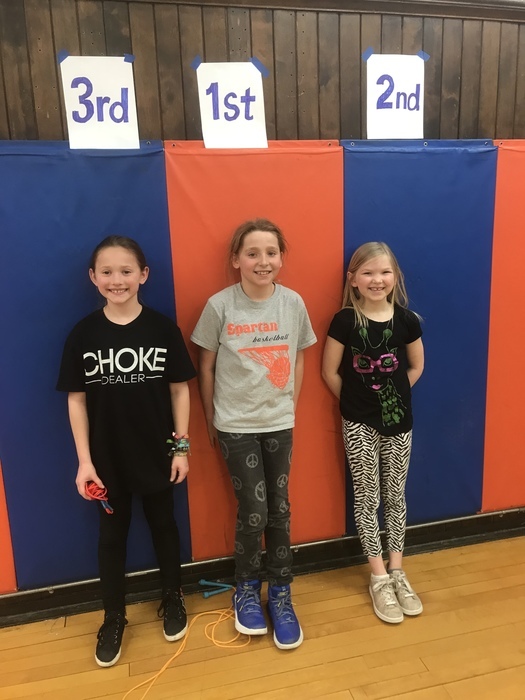 2nd grade girls jumpeope winners! First grade boys junprope winners! 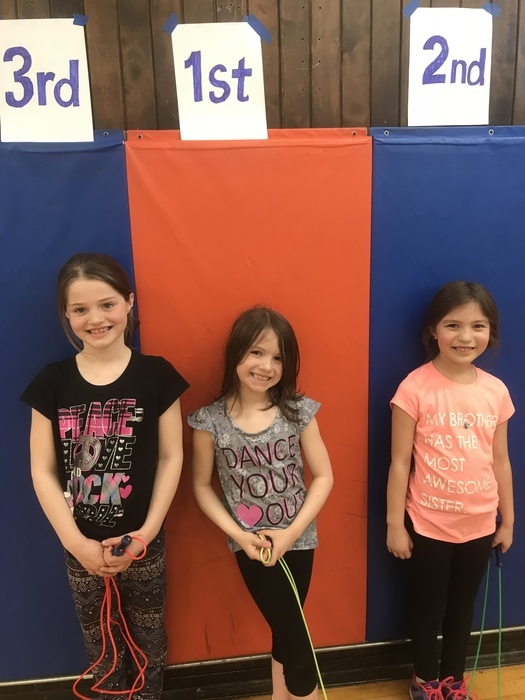 First grade girls jumprope winners! Parents, are you coming to Keewatin’s Books and breakfast on Friday, April 20 from 8-9am? Please send in RSVPs by lucky Friday the 13th! 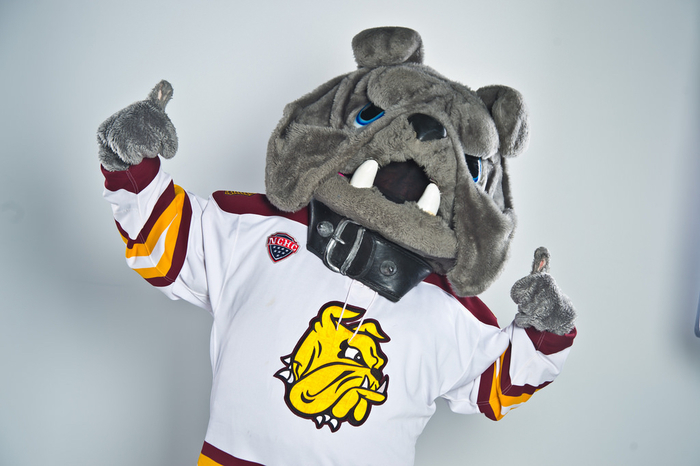 Go UMD Bulldogs!! @NKSpartans are HUGE fans!! 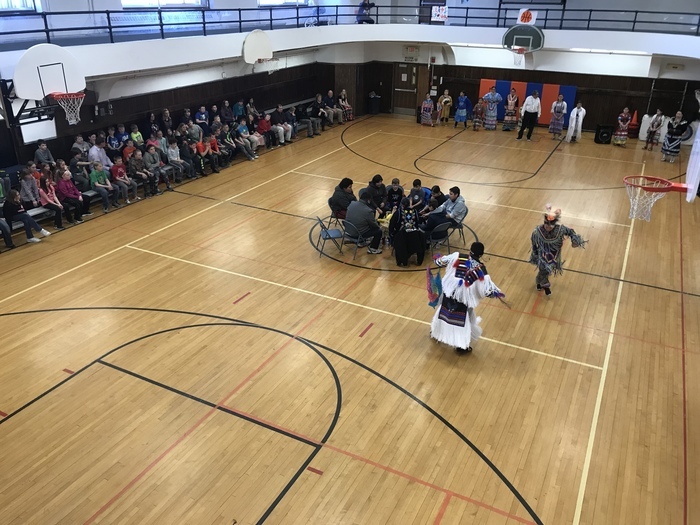 Our Spartans are enjoying a visit from the Deer River Drum and Dance group today! Chi-Miigwetch for teaching us! Summer Learning Academy Registration is open! Dates will be June 11-June 28. One week off July 2-5; Class resumes July 9-19. 8:00-12:00pm. We will be at Keewatin Elementary School this year. FREE breakfast and lunch will be served. Busing will also available. Your child(ren)'s teacher has the forms and will hand them out at conferences. If you need one please contact Ms. Denise Clusiau. Keewatin Elementary parents! We’ll see you tonight, March 8th, or next Thursday night March 15th for conferences. Don’t forget to stop by the book fair! Dear Nashwauk-Keewatin families and community, This statement is in response to a student report of concern for the safety of our schools. Threats were first overheard on a school bus, and then posted on social media. We are proud that our students did a good job of reporting concerns about safety to our administration. Administration immediately reached out to local law enforcement who responded quickly to our concerns. There are no credible or authentic threats to the safety of our schools. Disciplinary action has been taken where it is justified. Again, thank you for your alertness. If appropriate, please reinforce with your children the importance of "when you see something, say something." With your support, we continue to act for the safety of all our students and staff. We are NK strong! Parent-Teacher conferences are coming up next Thursday, March 8th and Thursday, March 15th! Please watch backpacks for reminders. Spartan parents, a reminder that there is NO SCHOOL on Monday or Tuesday Feb. 19 or 20th. We will see the students back at school on on Wednesday, Feb. 21, 2018. Thank you parents for attending our Title 1 parent meeting last night! Follow this link: https://goo.gl/forms/Tcs7KHn6HhLLMbMu2 or use the QR code below to give your feedback on title programming! 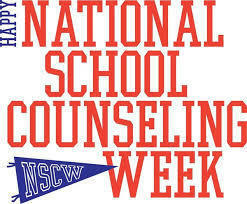 School Counselors help us teach the whole child! Mrs. Brandi Lautigar is an amazing support to our students AND staff! 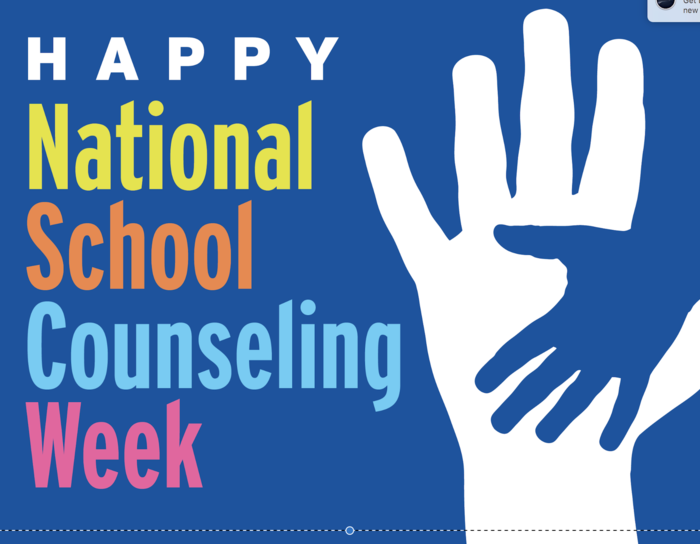 Thank you for your support of National School Counseling Week. 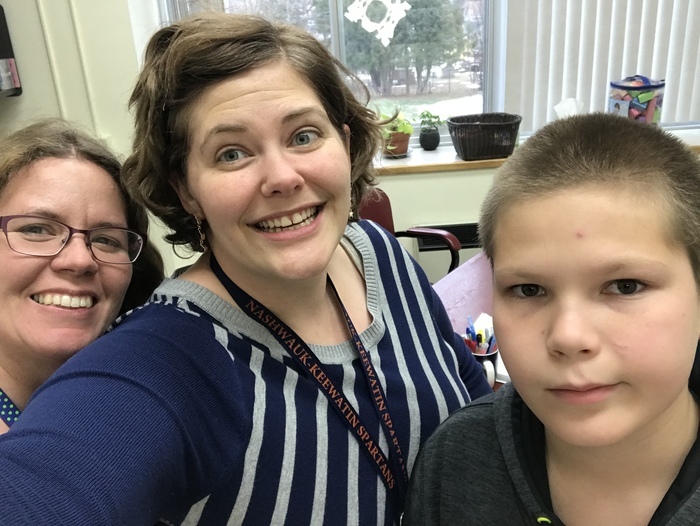 Keewatin is stronger because Mrs. Lautigar is part of our team! 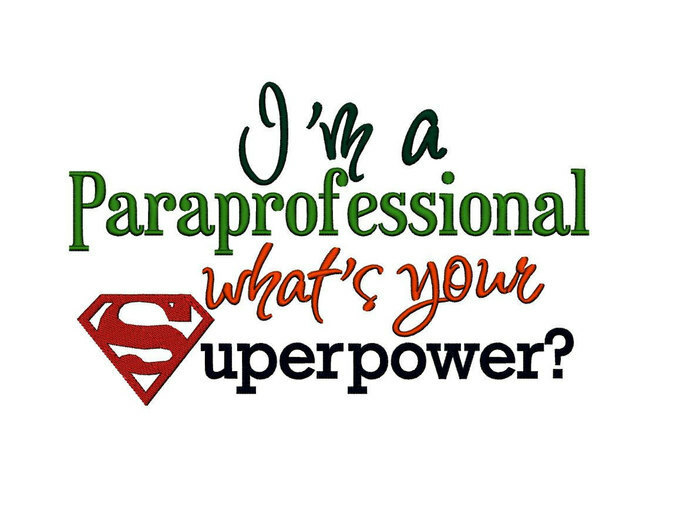 It's Paraprofessional Appreciation Week! We want to send out an ENORMOUS thank you to all of our Nashwauk-Keewatin paraprofessionals today (and every day!) who help make all our days brighter and more successful. We couldn't do this life-changing work without you! 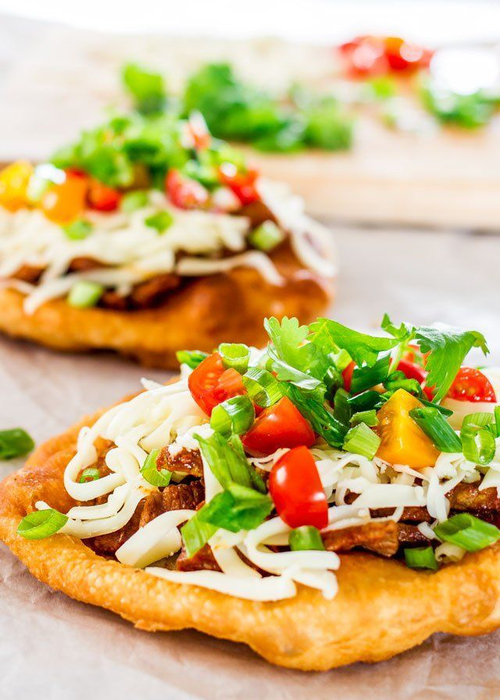 Want to #win at math homework help with your kids AND enjoy fry bread tacos for the whole family? 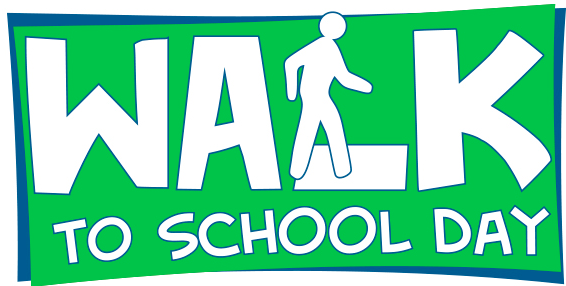 Join us at Math & Move night at Nashwauk High School on Feb. 1st from 5:30-7pm. Kids will get to play games while parents learn math tips and games. 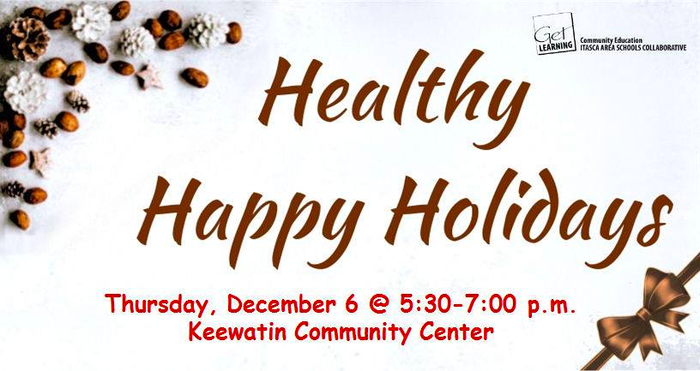 Please RSVP to Sue Johnson at Keewatin! The Nashwauk HS Honor Society is hosting a community blood drive on Friday, February 2nd. Save a life and help one of our seniors earn a $500 scholarship! You can sign up online at https://goo.gl/tVYhDm OR contact Mrs. Tucci to make a donation appointment. NK schools are running two hours late today. We look forward to seeing the kids after 10am this morning! Elementary Boys Basketball Practice has been cancelled this morning due to the cold temps. 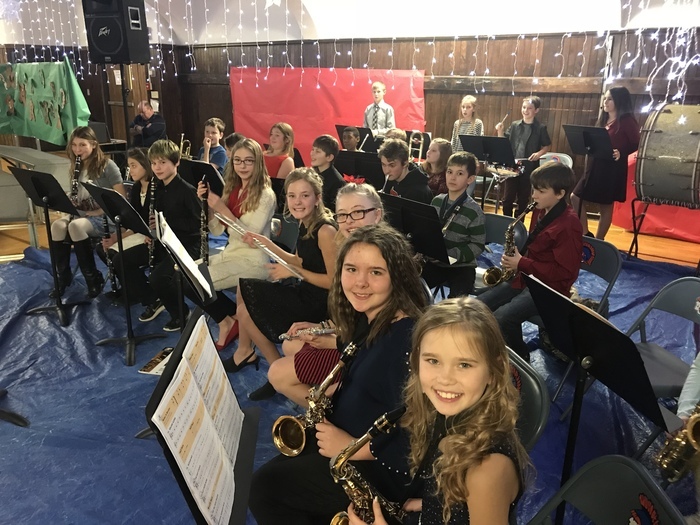 Thank you to all who came to our Christmas concerts today! The kids did great! Happy Holidays Spartans! Keewatin good news tweet of the week: Drew is a hardworking and polite 5th grader! 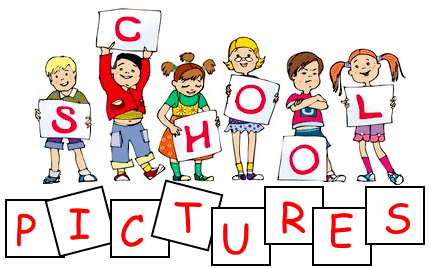 A reminder that Lifetouch picture retakes are Wed. Nov. 15. There is no school this Friday, November 17th. Please encourage your child to look through the items on our lost and found tables. We will be boxing clothing up over the Thanksgiving break for donation. There is no school on Monday November 6th for everyone and Friday November 17th is a teacher in-service with no school for students. Thanksgiving break is the 23rd and 24th. First day of Keewatin Elementary Learning Academy and Spartan Fun Club is Monday, October 23rd! Questions about registering? Please contact Ms. D. Clusiau. Thanks for a great picture day at Keewatin! 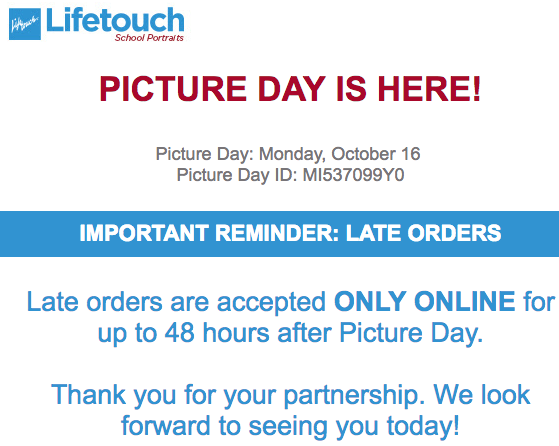 For your information, Lifetouch late orders are only accepted online. 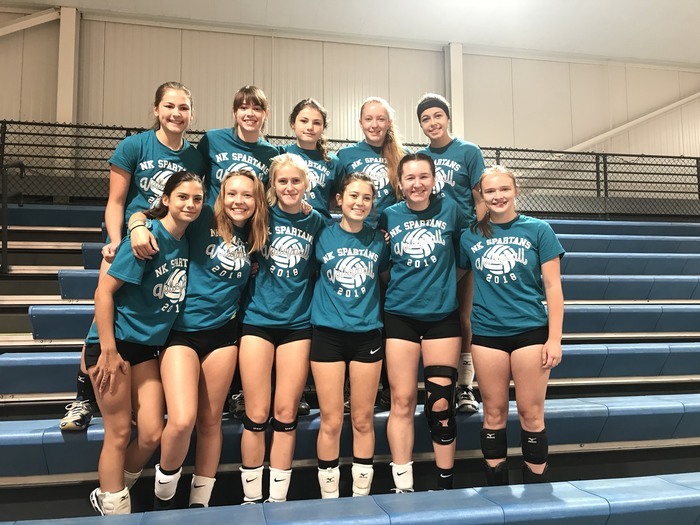 Reminder that Tuesday's home Volleyball game is Parents Night! The Jr. High Volleyball scheduled for tonight has been cancelled. All NK teachers were trained this week by Mrs. Lisa Peterson from the Epilepsy Foundation. 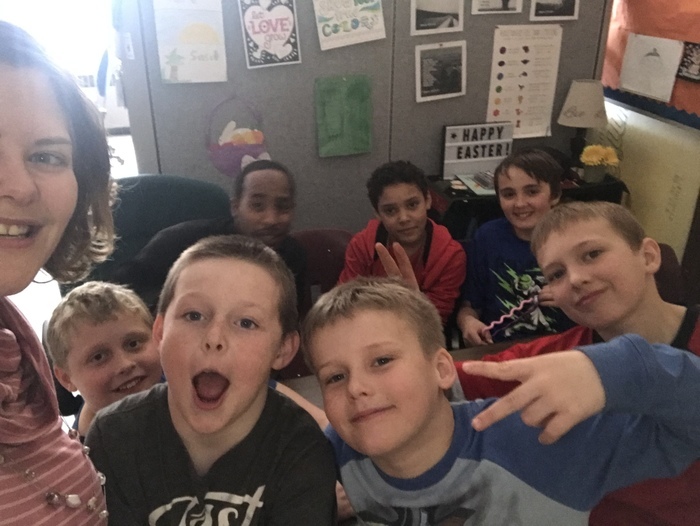 Every classroom at Keewatin participated in a lesson with Mrs. Peterson. 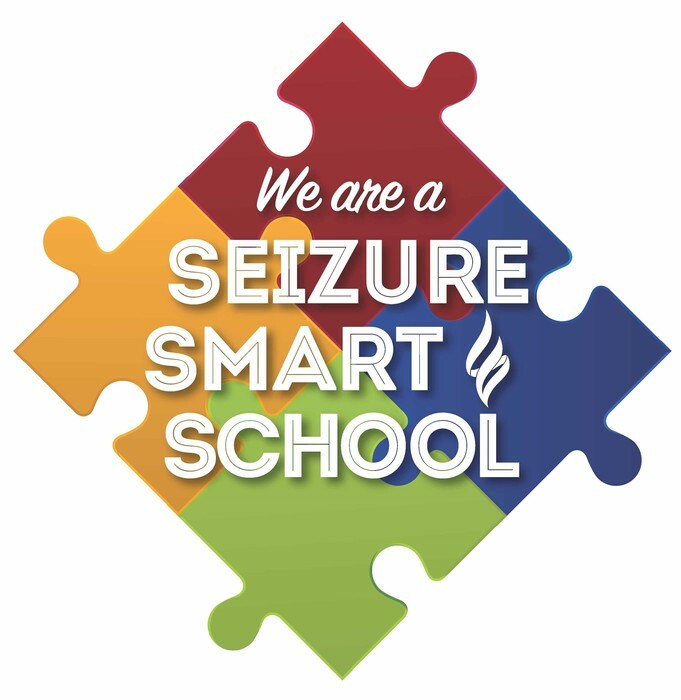 Keewatin is now Seizure Smart! 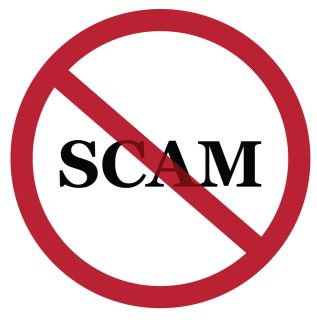 You have the Power to Outsmart the Scammers! Learn important strategies from Mike Stefan. 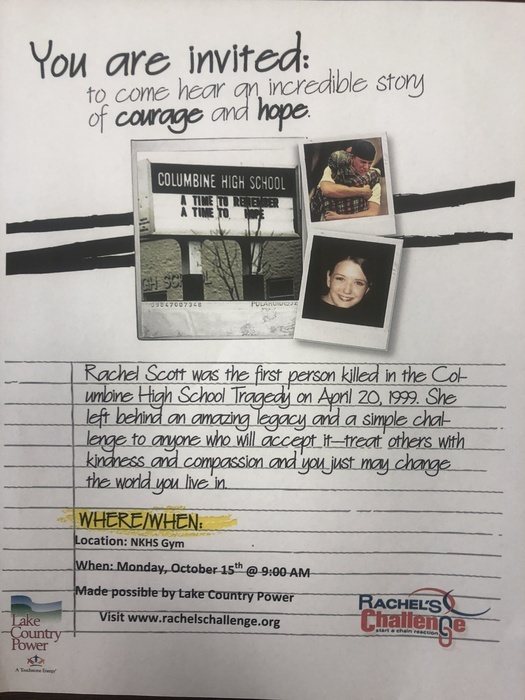 Tuesday, Sept. 12th at 6:00pm Nashwauk HS Room 102. Call 885-1280 ext. 51171 to register. Math night @ Keewatin on Monday, Sept. 18 5-7pm! 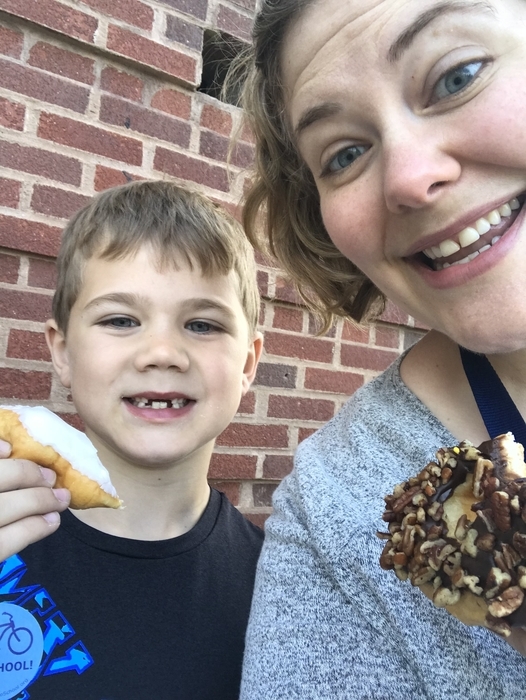 Snacks, math games, and a free giveaway raffle for a kindle! Please RSVP or see the "Parent Resources" folder in the document tab on our website. Nashwauk-Keewatin's First Day of School will be Tuesday, September 5, 2017! See you soon! A reminder that our first day of school for grades K-12 will be on Tuesday September 5th. This is a change from the past couple years as we have gone back to all students attending on the first day. Check out the Community Education link for a list of all the fun fall N-K Community Education Classes! You'll also be able to register for any class with just one click! So easy! Keewatin parents wondering--Who is my child's teacher?? Class lists will be posted on the southeast door to Keewatin Elementary by 4pm on Tuesday, August 29th. 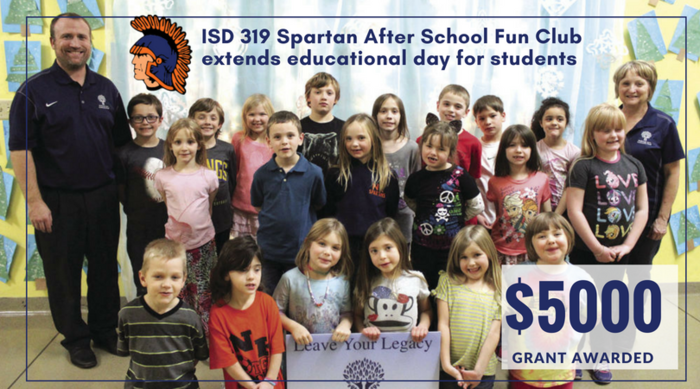 Spartan Fun Club will be available for after school care and enrichment (K-6) during the 2017-18 school year beginning in October. $15 per child with a maximum of $50 per family per year! Fall sports sign up us underway. This can be found on our school website and the Greenway school website if you are registering for GNK. Reminder that physicals need to be updated every 3 years. 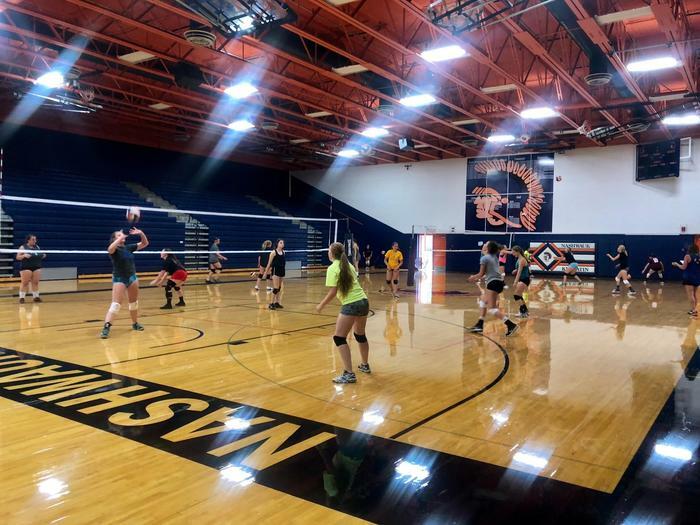 Volleyball practice will begin Monday August 14th. 9-12 grade will be from 8-12 and 7-8 will be from 8-10. Everyone meet in the large gym at 8:00 ready to go. Spartan Fun Club will be available for after school care and enrichment (K-6) during the 2017-18 school year. $15 per child with a maximum of $50 per family per year! Scholarships available! We are recruiting now for our Elementary Literacy Tutor who will serve Keewatin for 11 months, beginning in August 2017. Please visit www.MinnesotaReadingCorps.org to apply today! Hello Keewatin families! It looks like it will be TOO rainy tomorrow (Tuesday)! We'll move Tug-of-War to Wednesday afternoon! 4th-6th grade track and field day has been rescheduled to Thursday, May 25. Events will begin at Angelo Taddie Field at 9am and finish around noon. Please contact Mr. Owens with questions. Attention all 6th grade band students! Band camp will be in August at the high school. 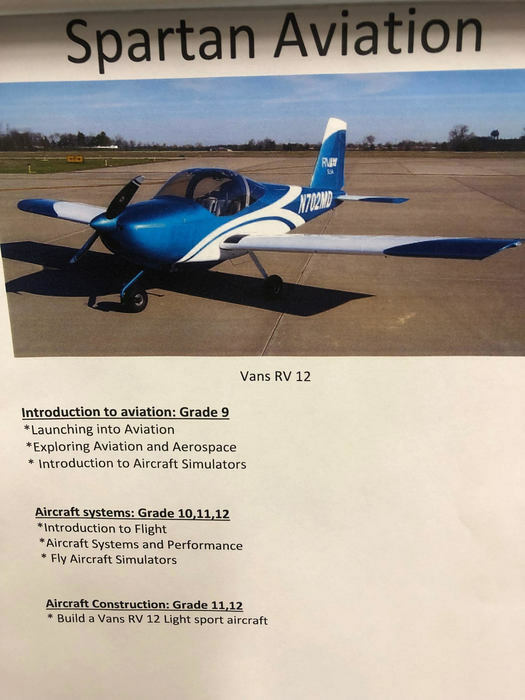 Please contact Mr. Snider for more information! Tonights baseball game and track meet have been cancelled. Track is rescheduled for 1:00 tomorrow. No reschedule for baseball at this time. Hello elementary families! Learning Academy forms are due May 22, 2017. 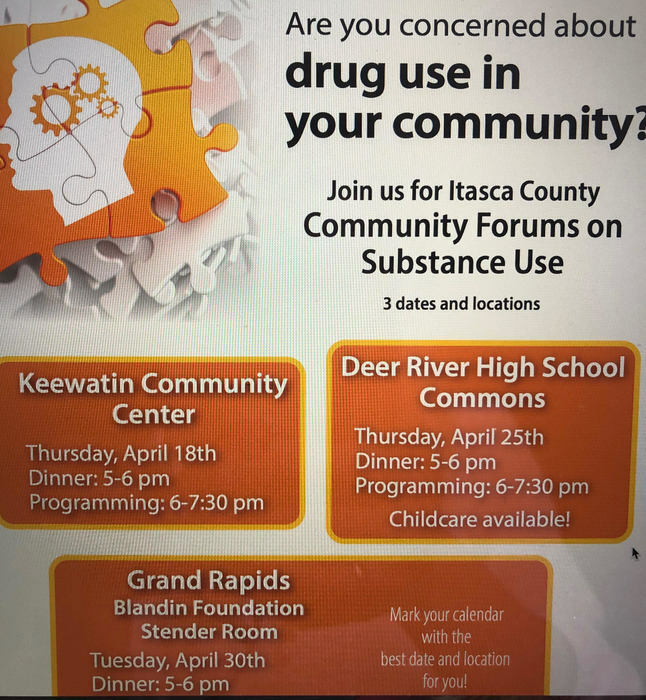 If you have questions, please contact Denise Clusiau at 218-885-1280 x51161. Wednesday, May 10 is National Bike to School Day! Please sign up in the Keewatin office for a pancake breakfast with Mrs. O-R if you're planning to ride your bike to school on Wednesday! 5th graders should be returning from the Twins game in he cities about 8:45pm! Tonight Baseball and Softball games have been canceled. 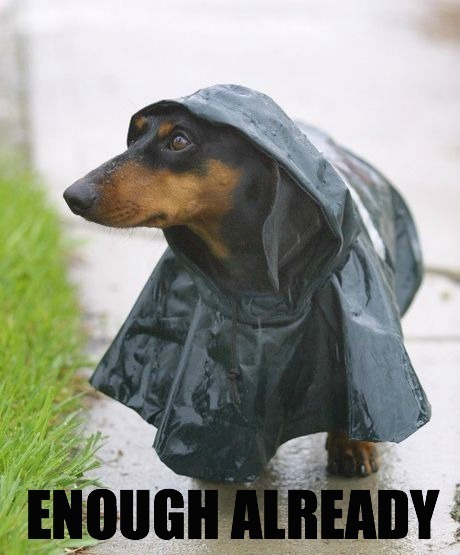 We will adjust the schedule on the website if/when they are rescheduled. 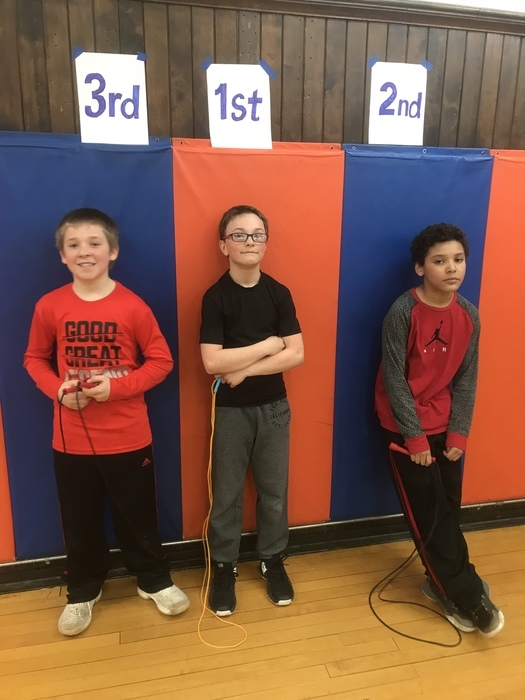 Nice work #KeewatinElementary @NKSpartans for an impressive jump rope contest today! Please see Keewatin's page for more photos later tonight. Kindergarten Round Up is tonight, Wednesday, April 26, 2017, from 4pm-5:30pm at Keewatin Elementary. Please drive safely! Influenza has been reported in the schools. Please see the news section of the school website for more information. Parent Teacher conferences will be taking place on Thursday the 23rd and Tuesday the 28th from 3:30 to 7:00 each night. It's school Board Appreciation Week! February 20-24, 2017. Please thank our School Board members for the work they do for our students! Welcome to our new website. We hope to be live soon!